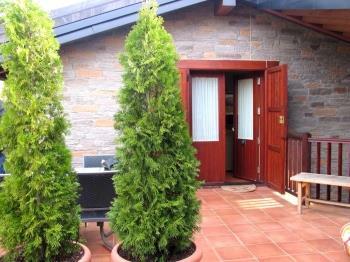 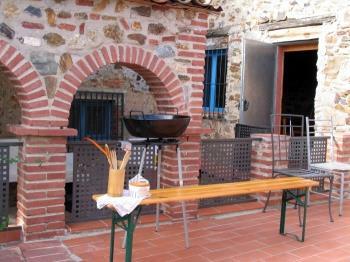 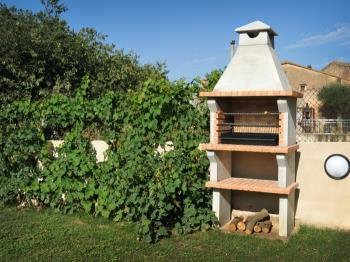 Holiday Cottage with garden and barbeque. 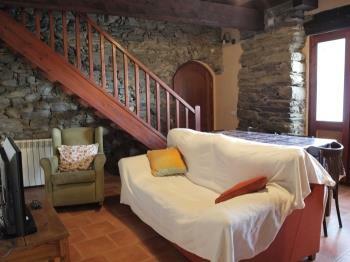 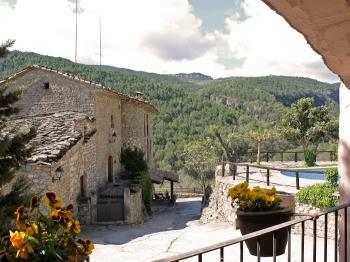 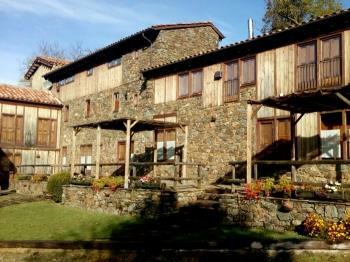 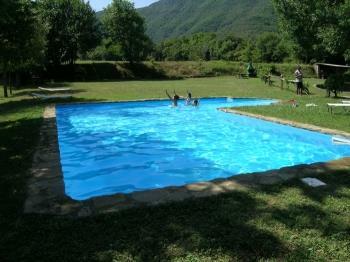 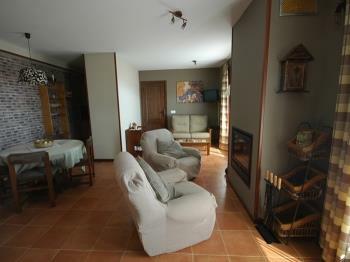 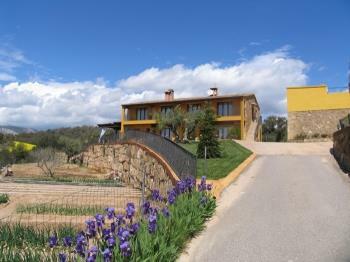 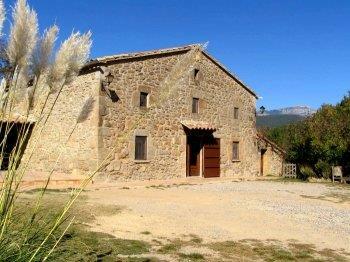 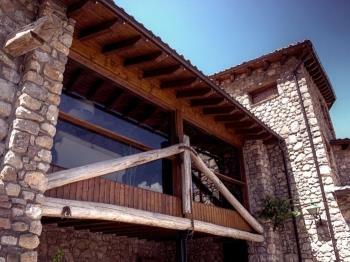 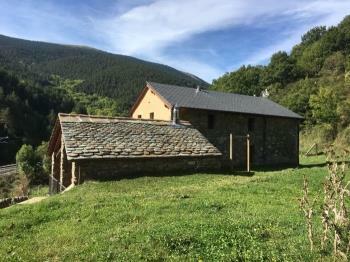 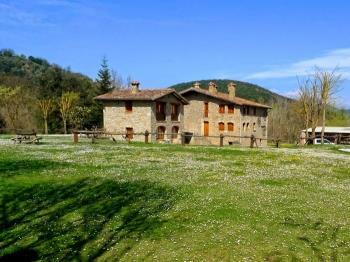 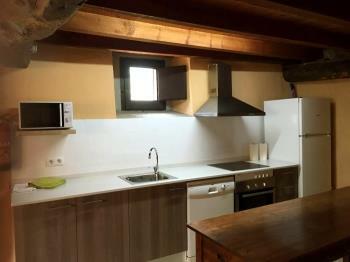 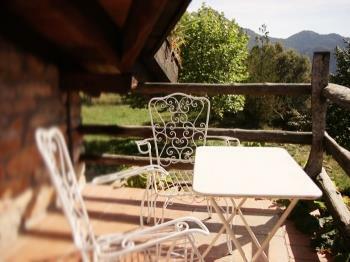 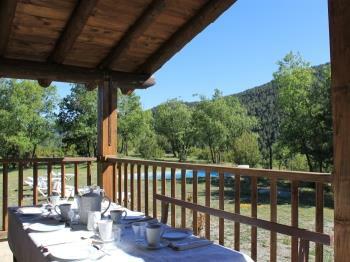 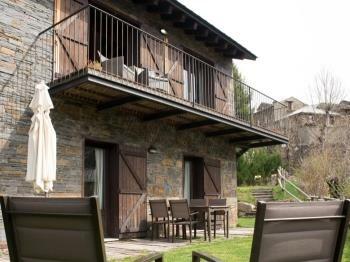 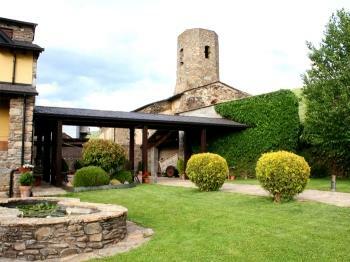 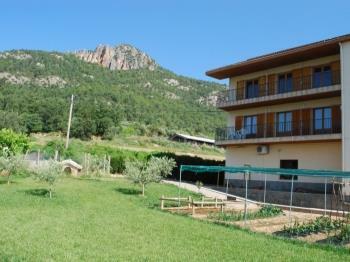 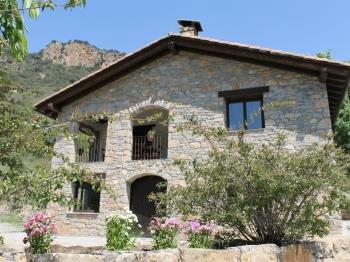 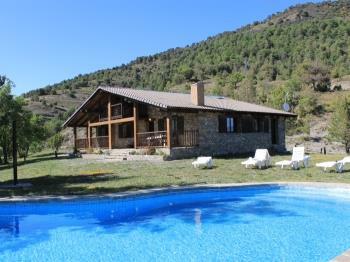 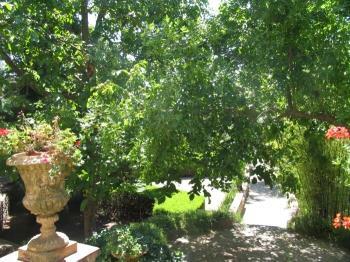 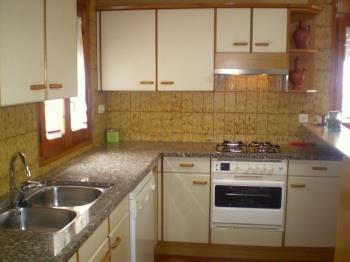 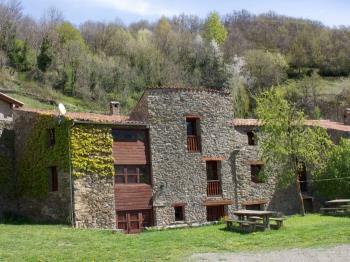 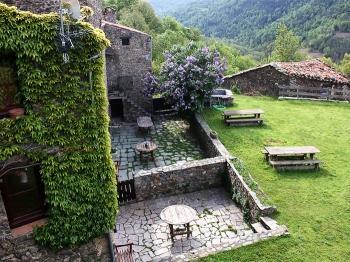 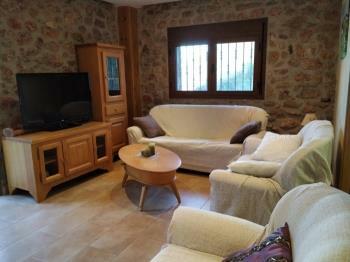 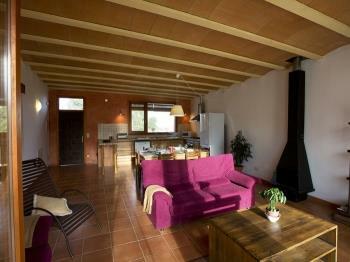 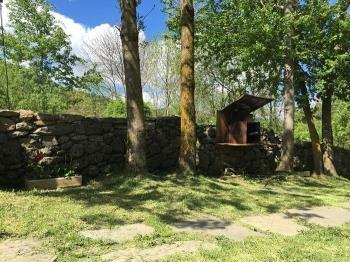 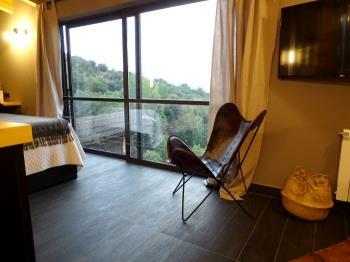 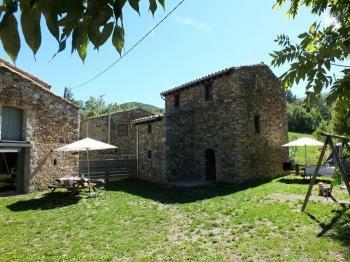 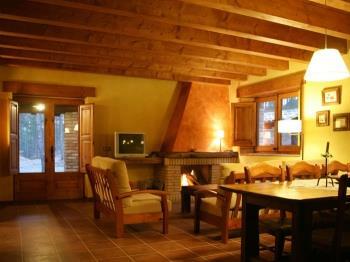 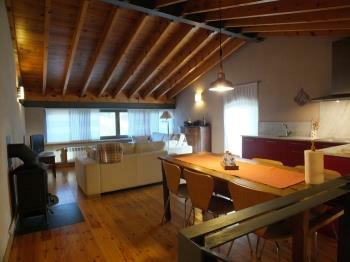 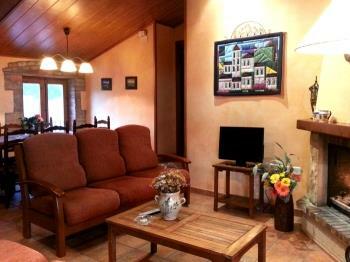 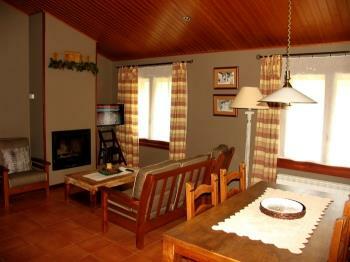 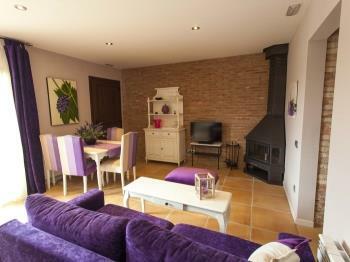 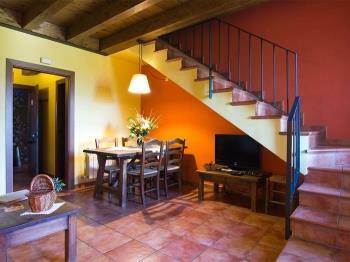 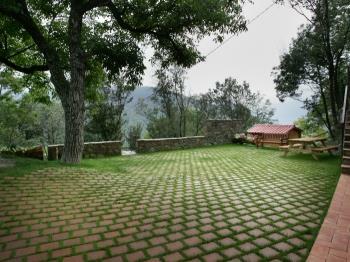 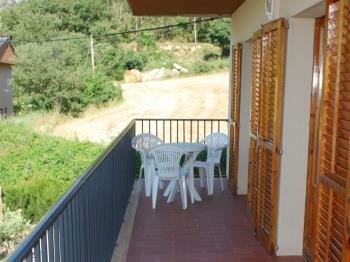 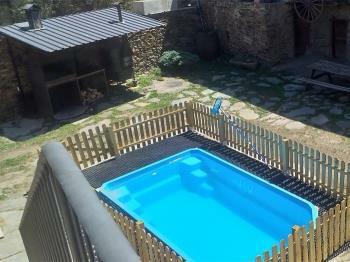 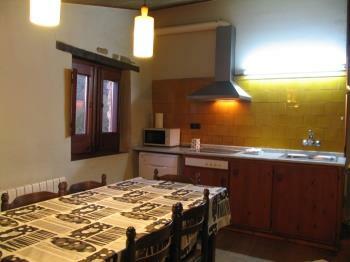 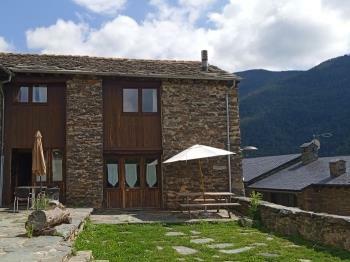 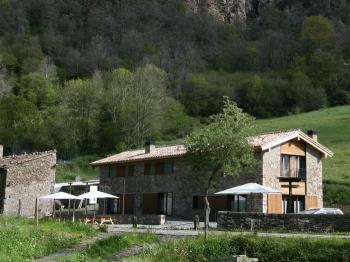 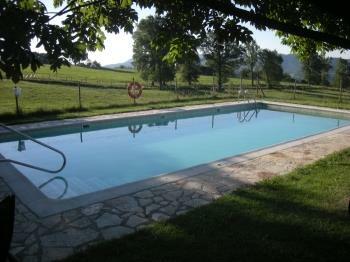 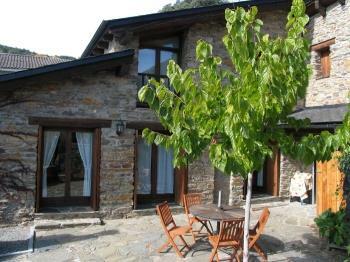 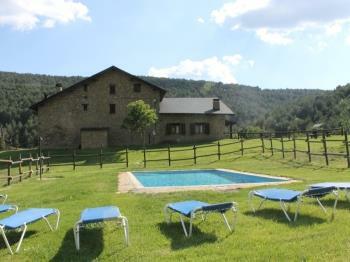 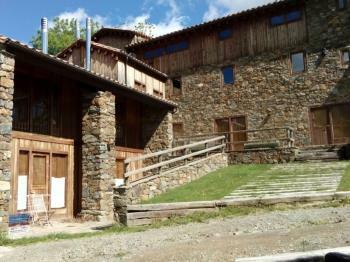 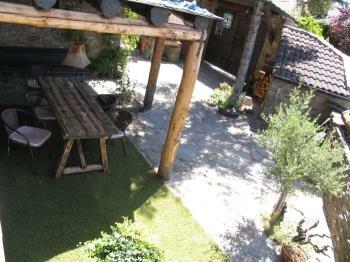 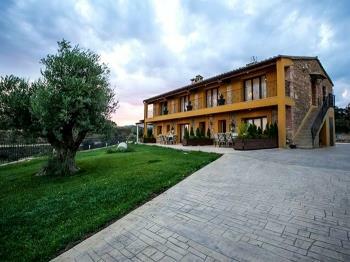 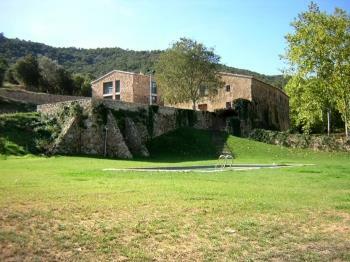 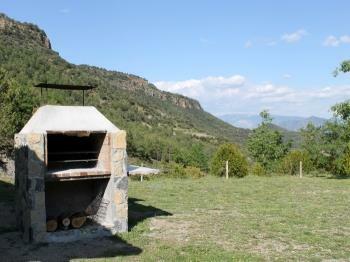 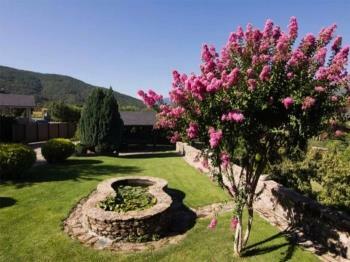 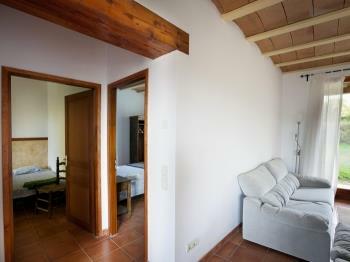 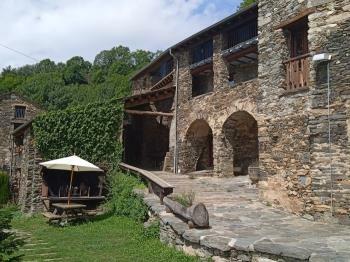 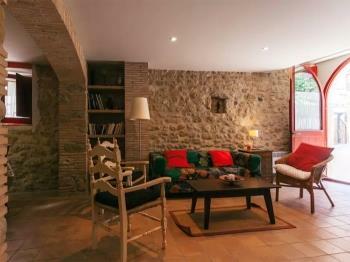 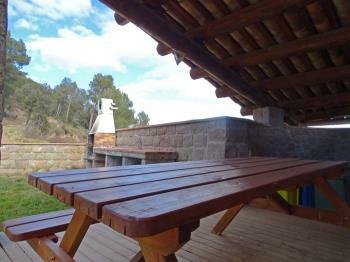 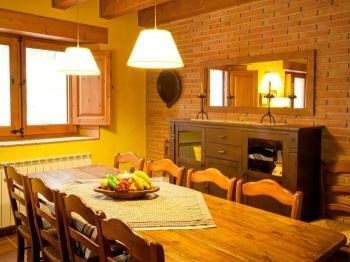 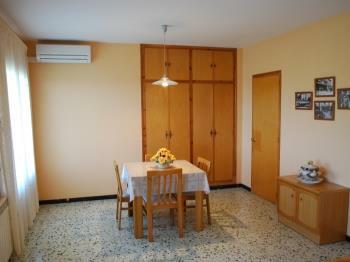 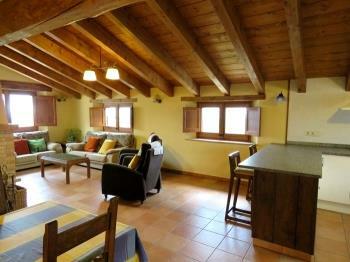 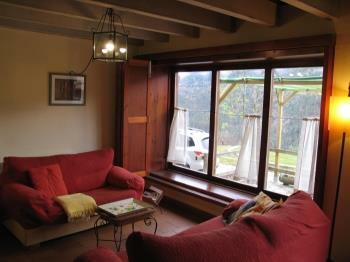 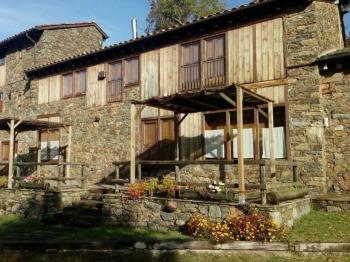 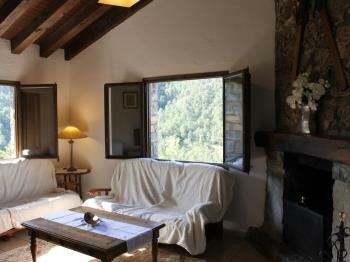 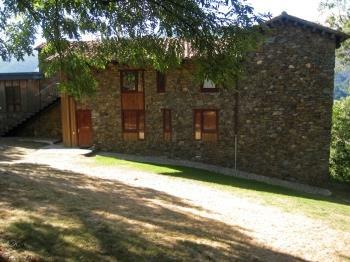 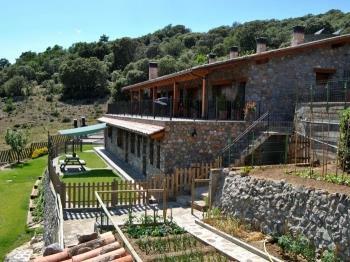 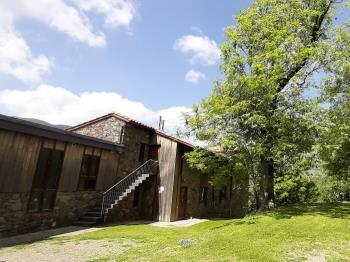 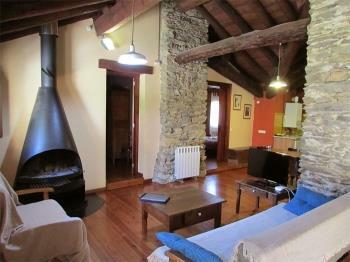 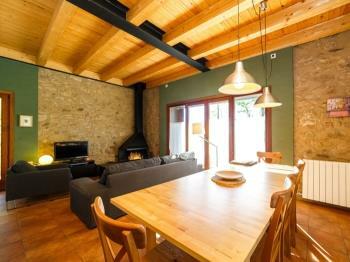 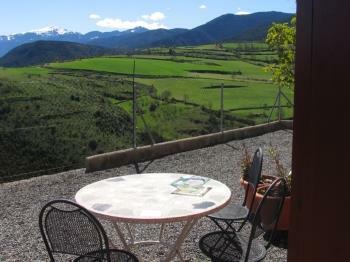 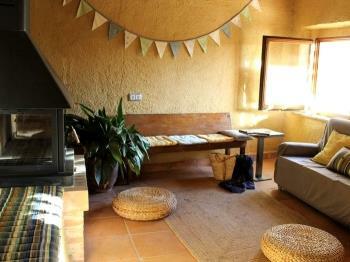 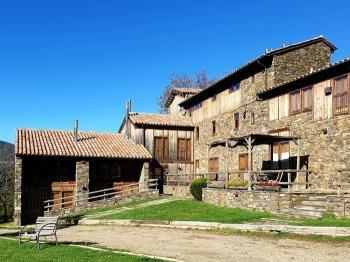 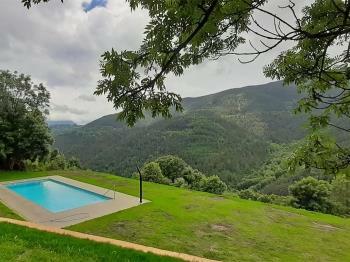 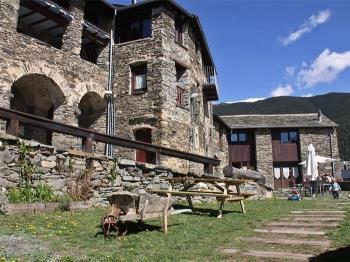 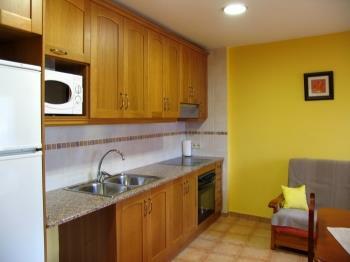 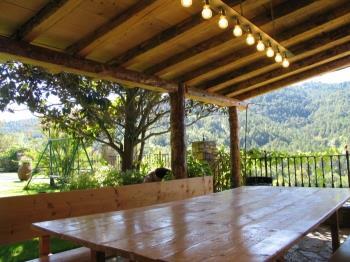 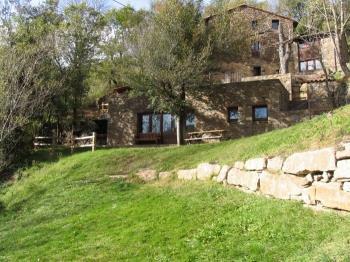 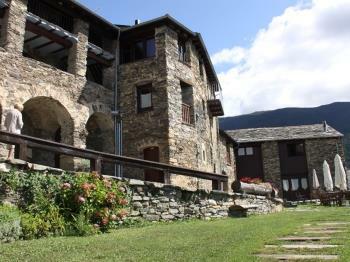 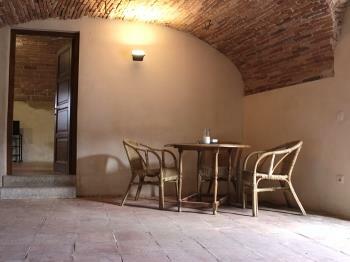 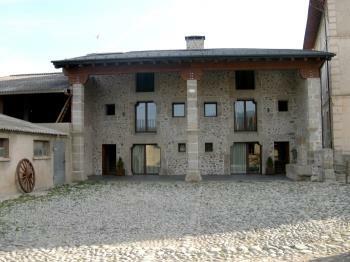 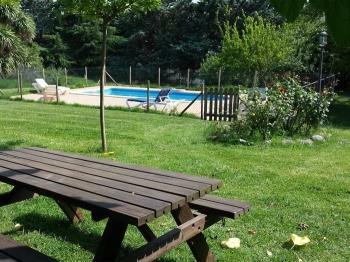 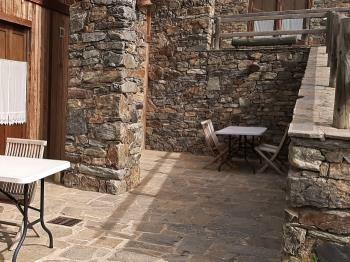 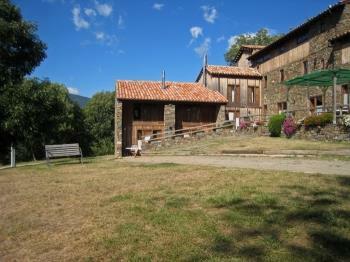 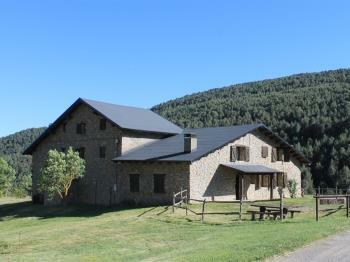 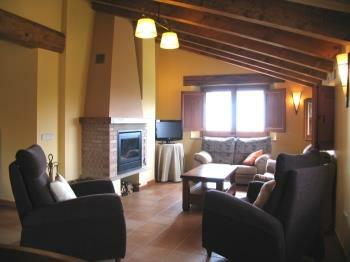 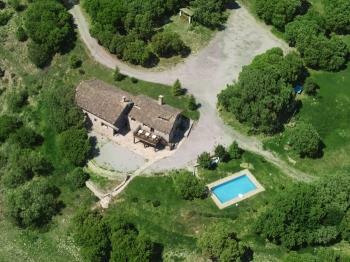 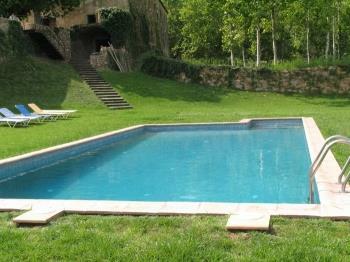 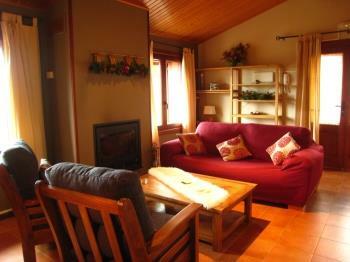 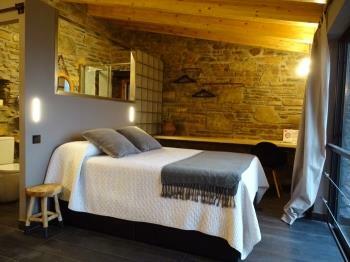 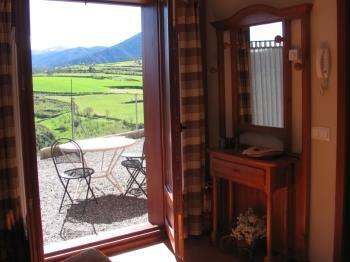 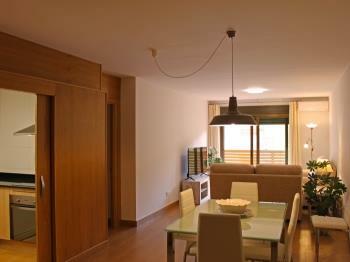 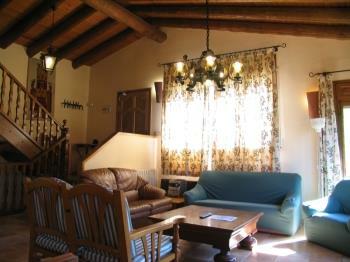 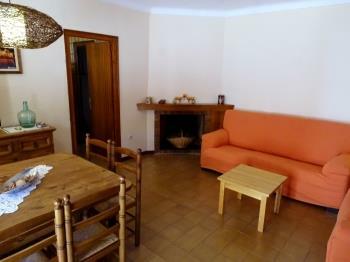 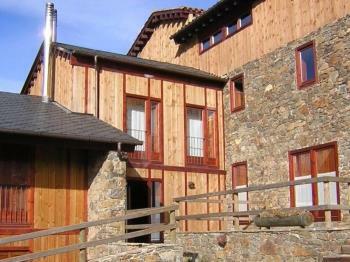 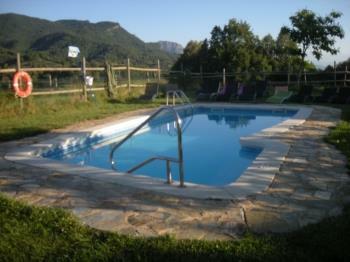 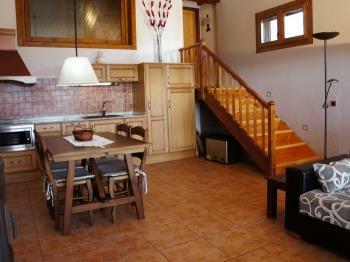 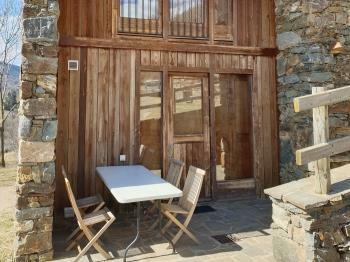 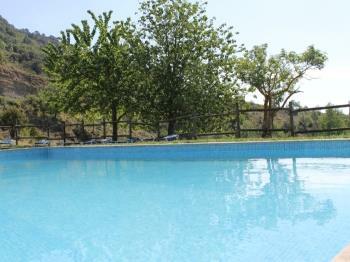 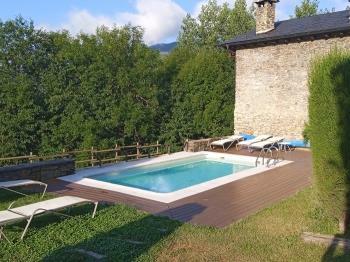 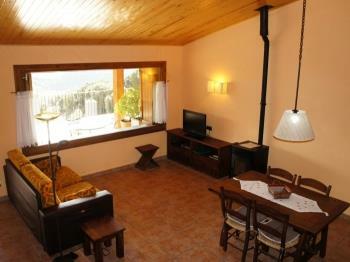 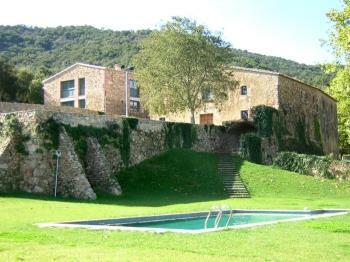 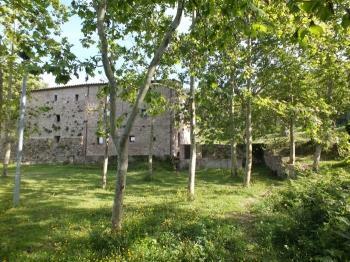 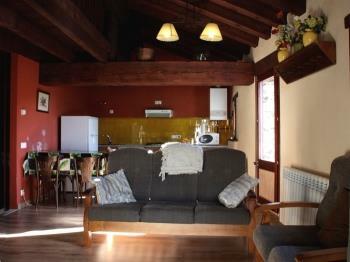 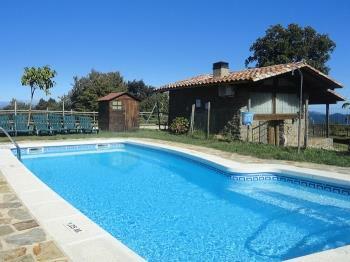 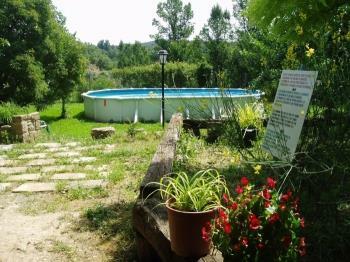 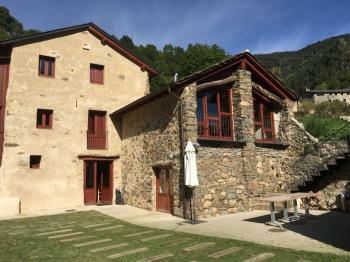 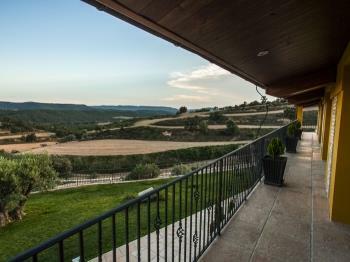 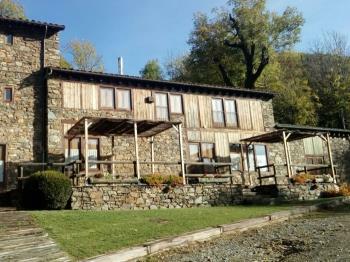 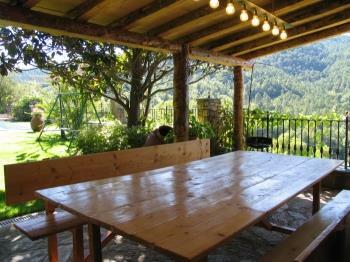 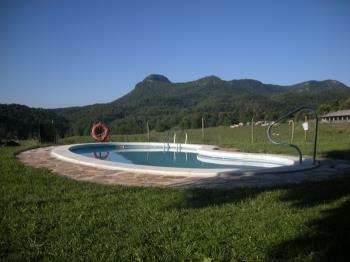 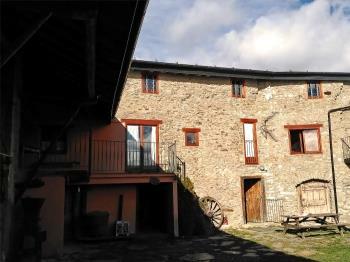 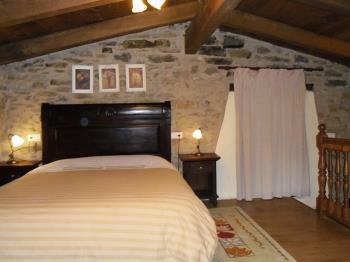 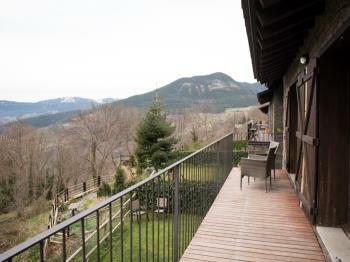 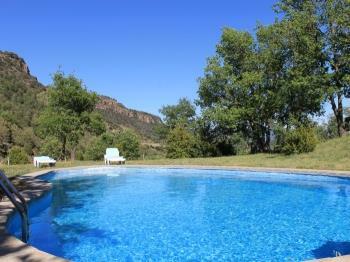 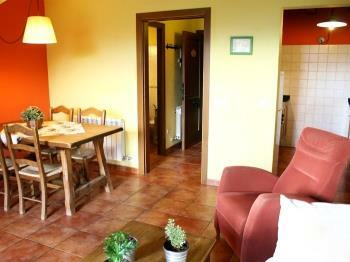 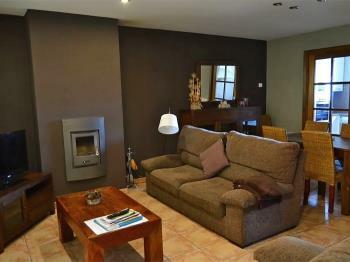 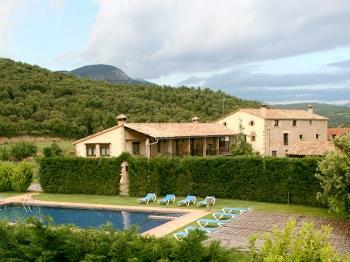 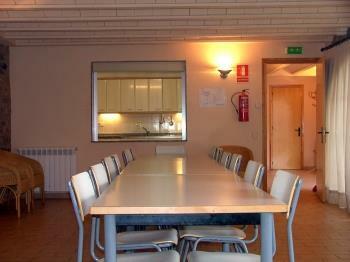 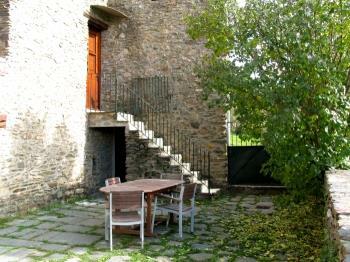 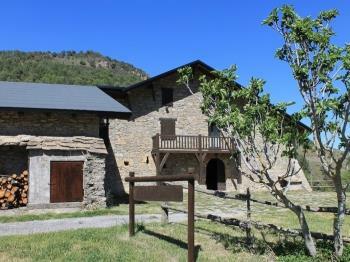 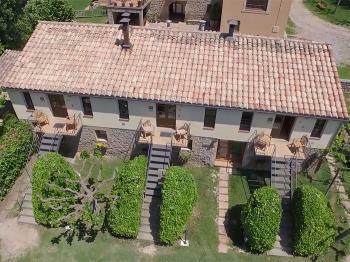 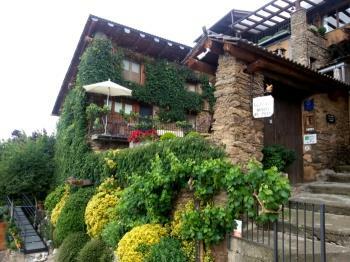 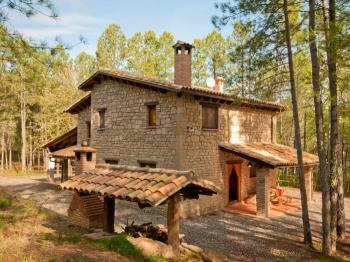 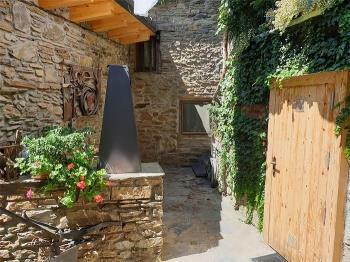 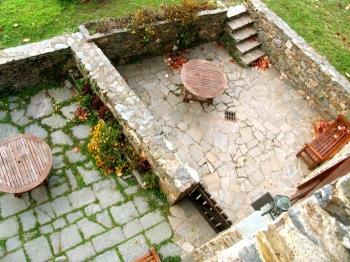 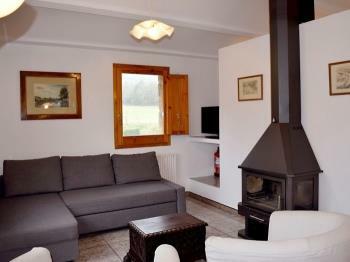 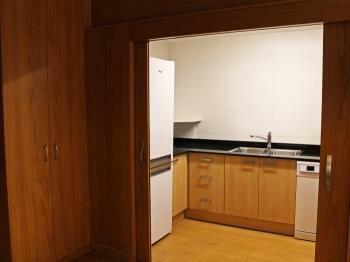 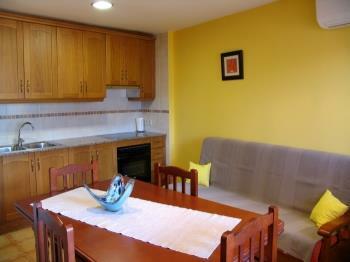 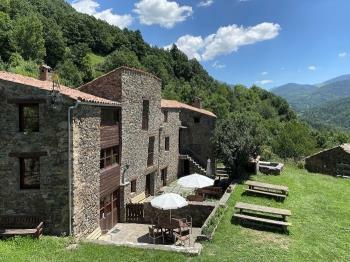 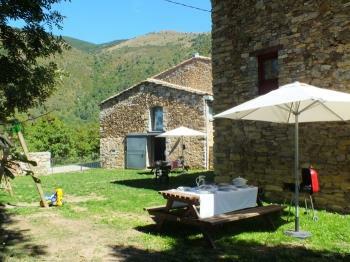 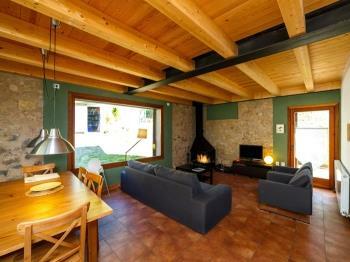 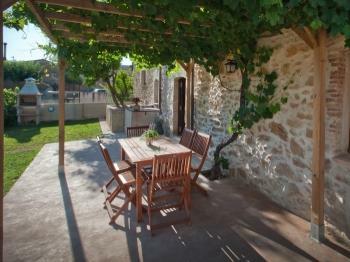 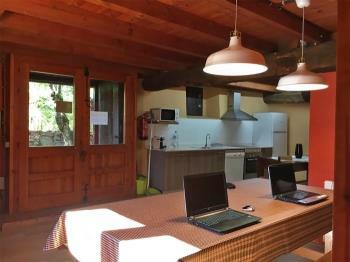 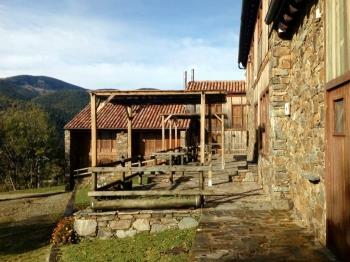 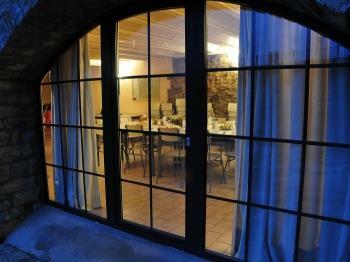 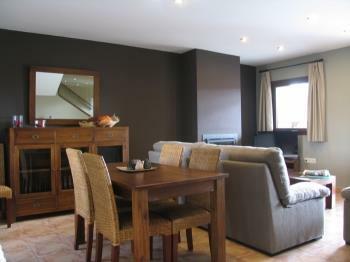 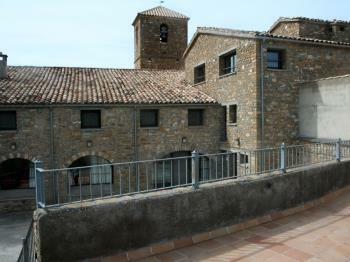 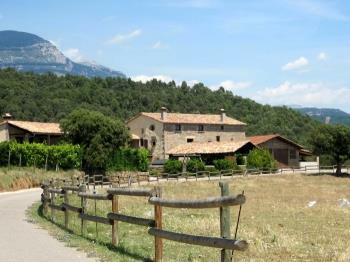 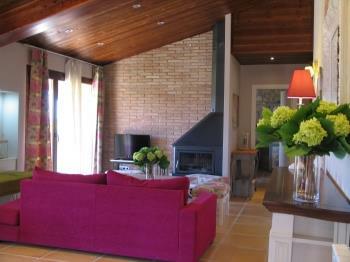 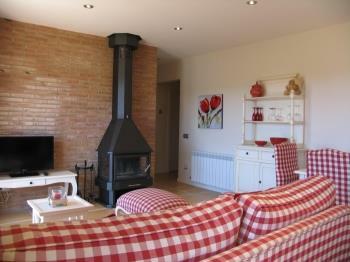 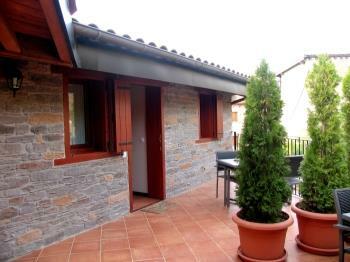 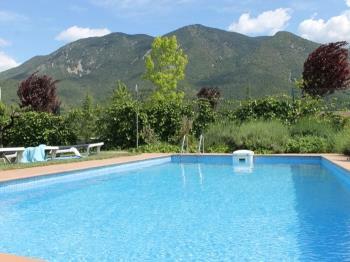 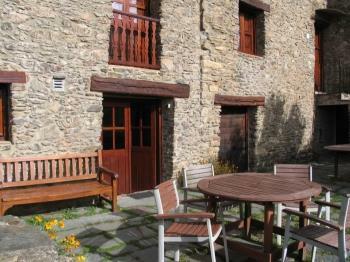 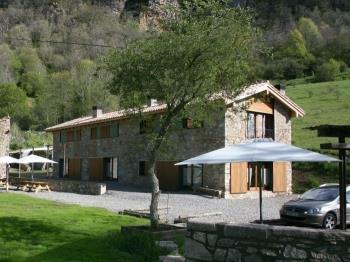 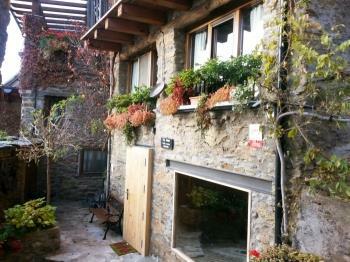 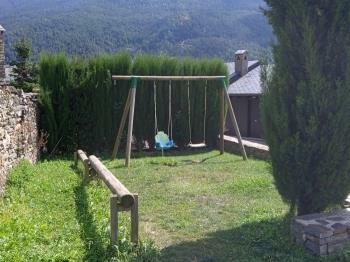 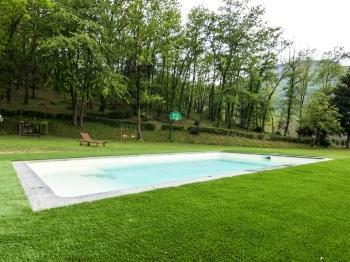 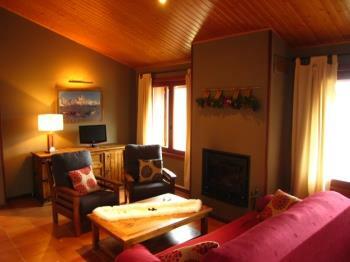 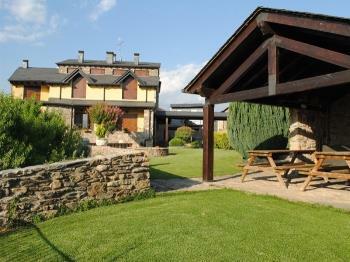 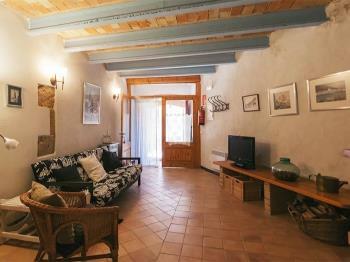 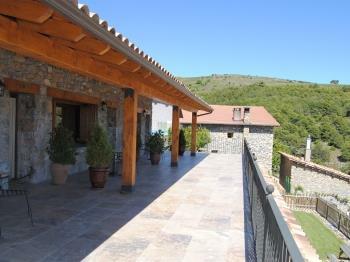 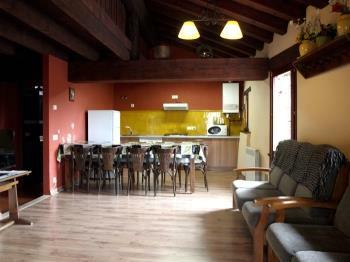 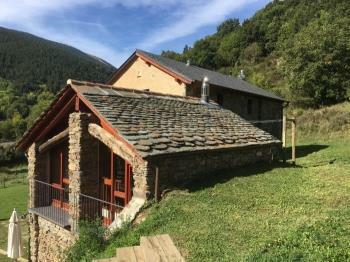 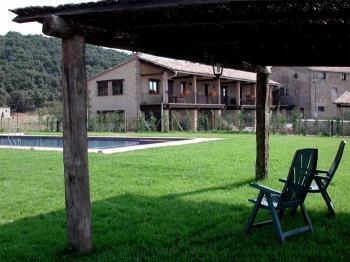 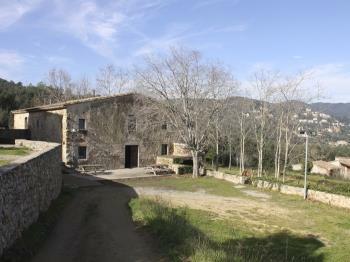 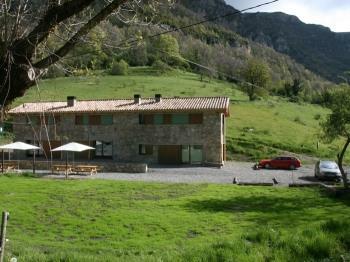 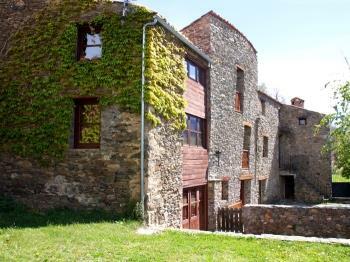 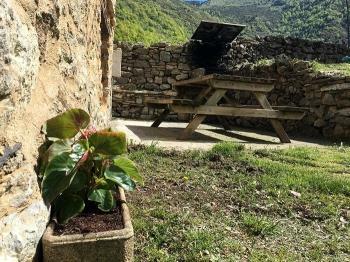 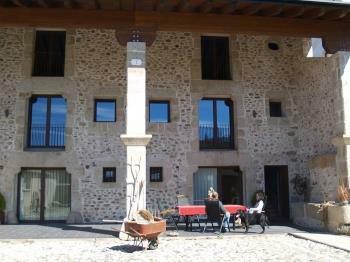 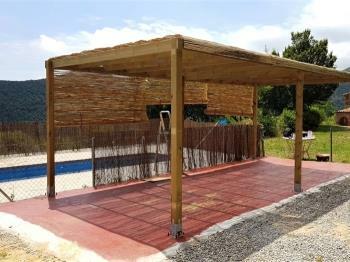 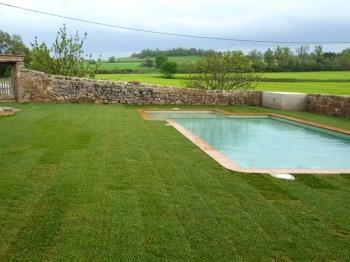 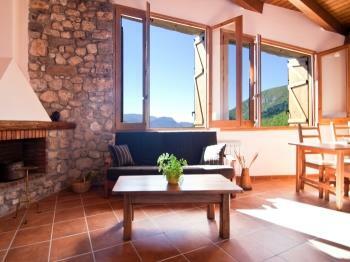 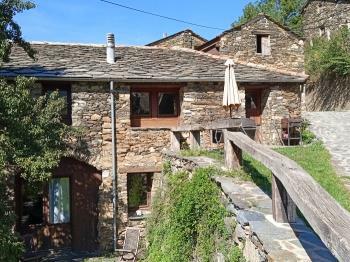 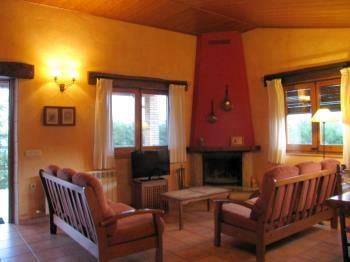 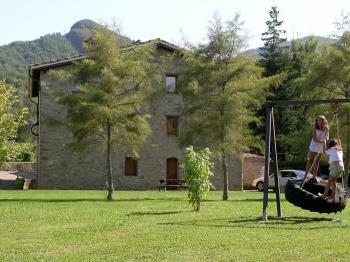 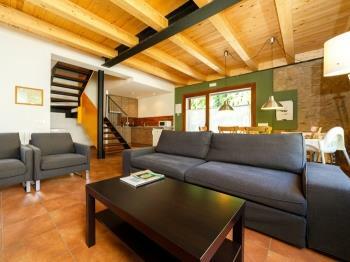 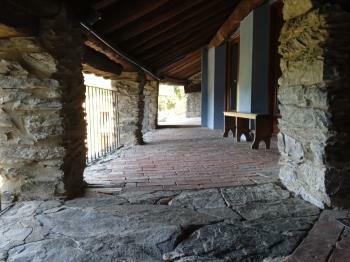 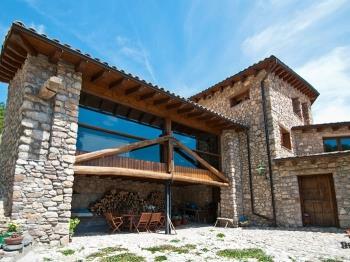 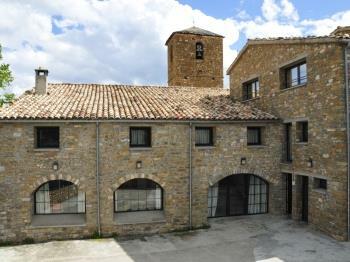 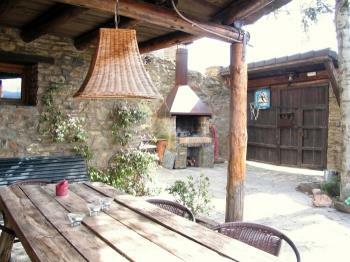 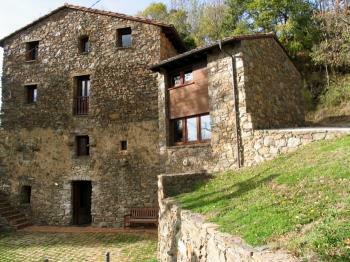 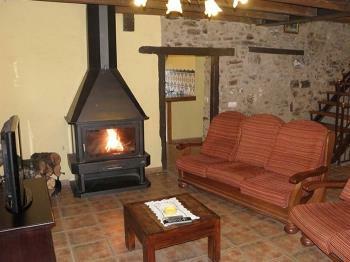 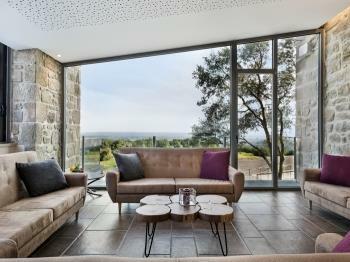 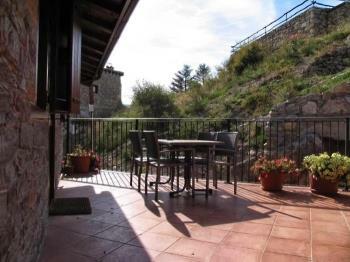 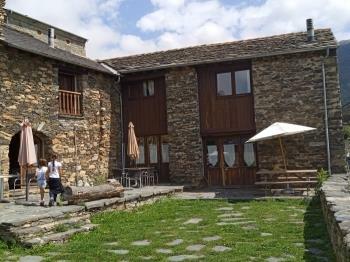 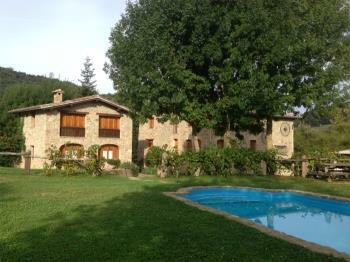 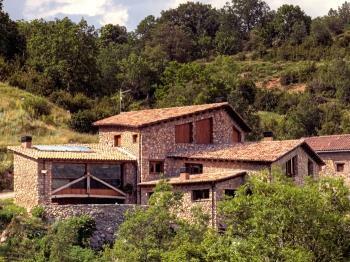 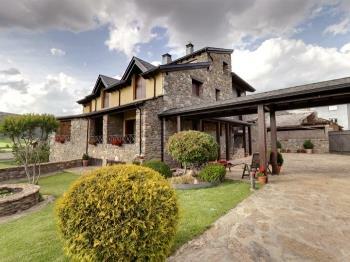 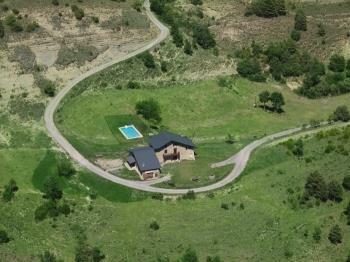 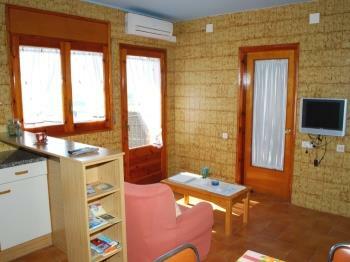 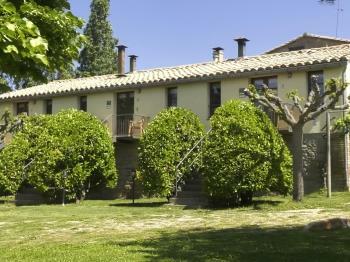 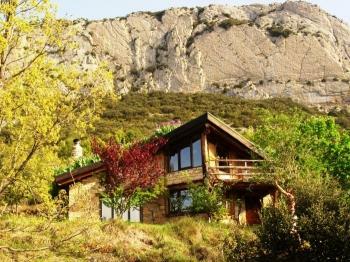 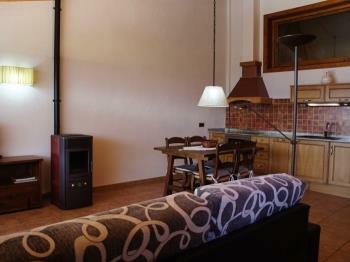 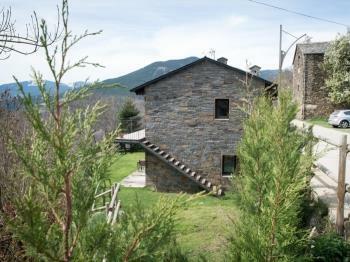 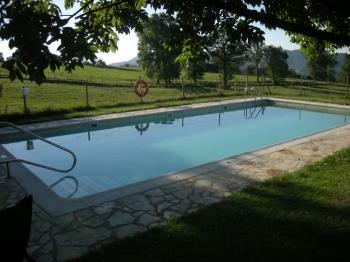 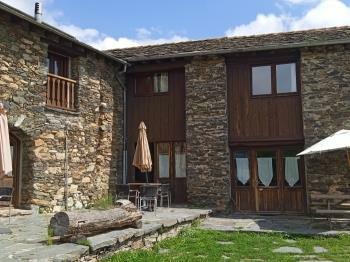 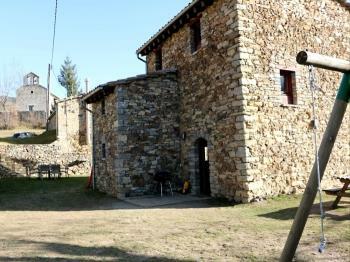 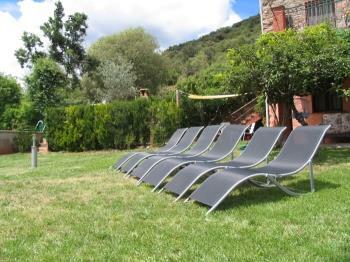 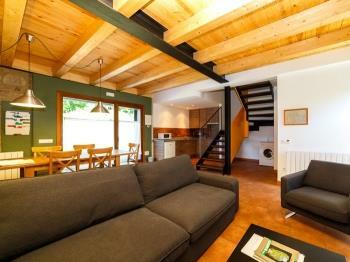 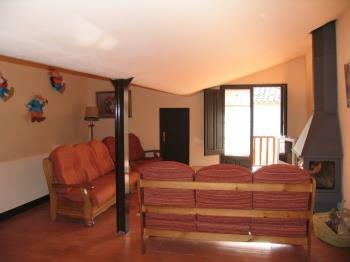 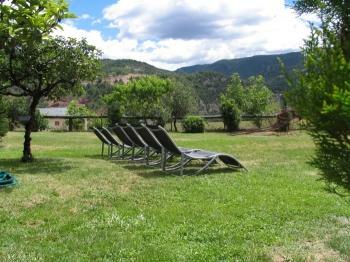 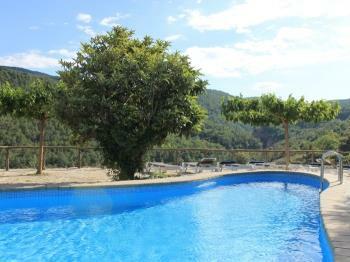 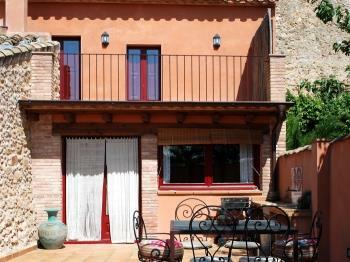 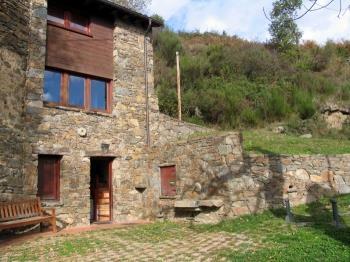 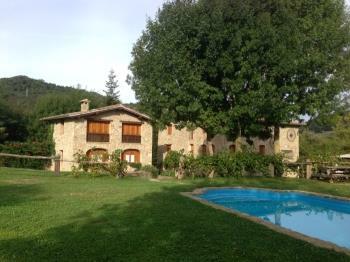 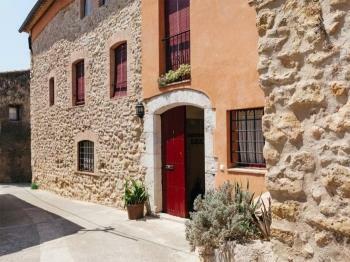 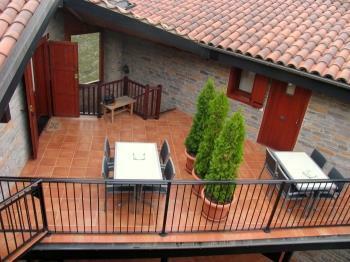 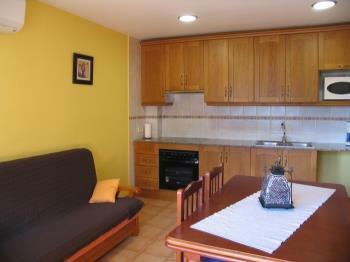 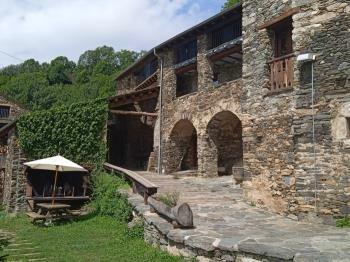 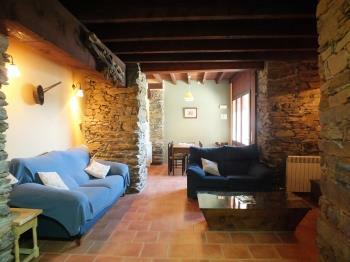 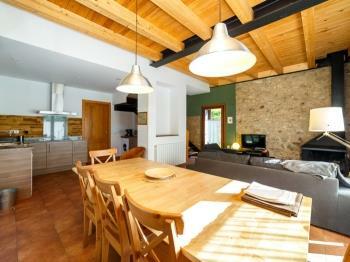 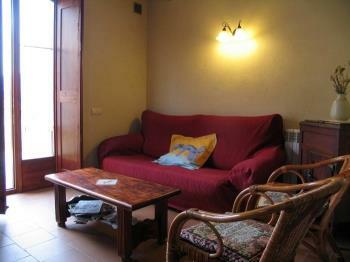 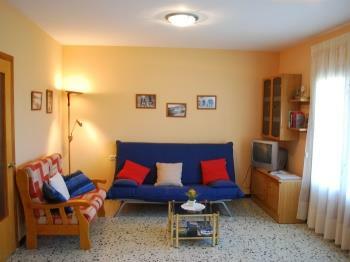 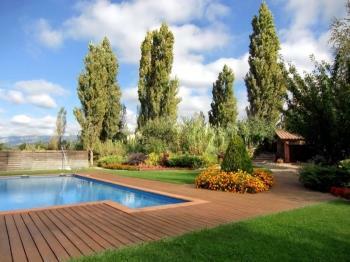 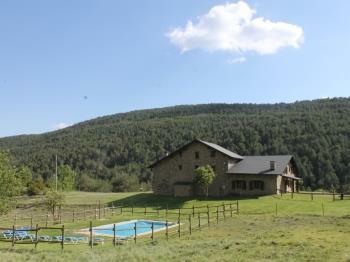 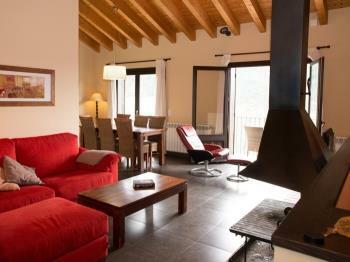 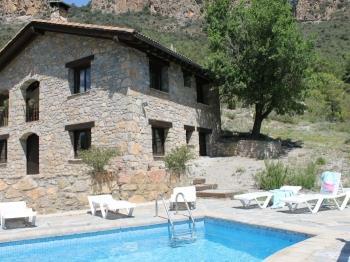 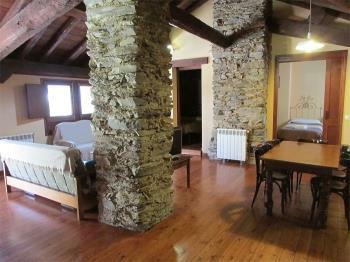 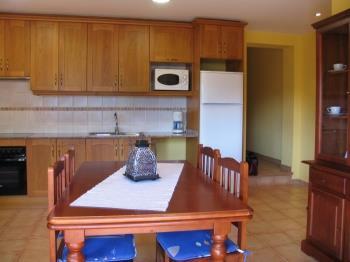 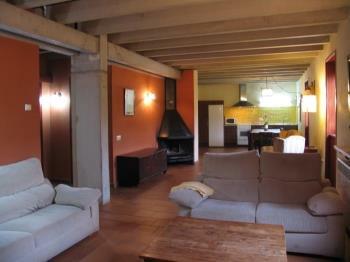 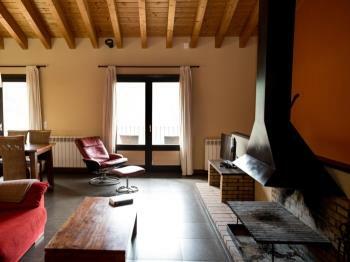 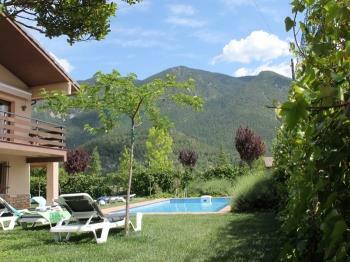 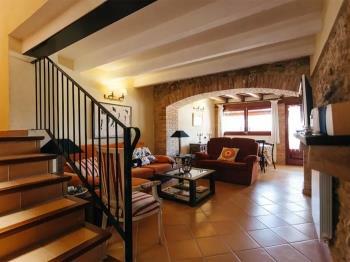 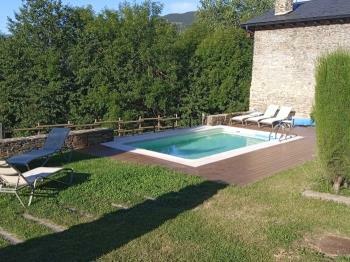 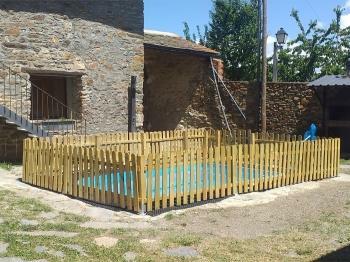 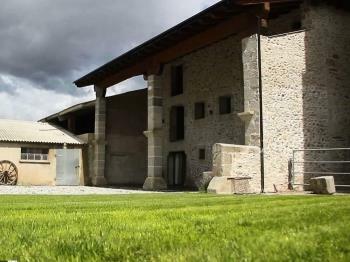 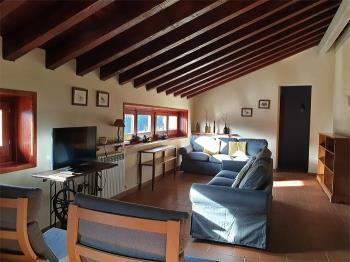 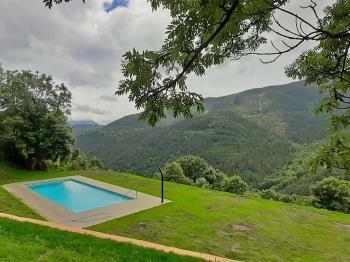 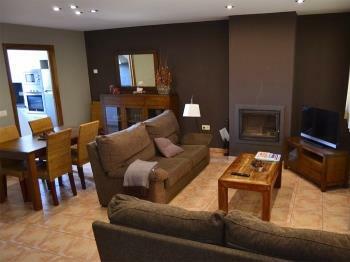 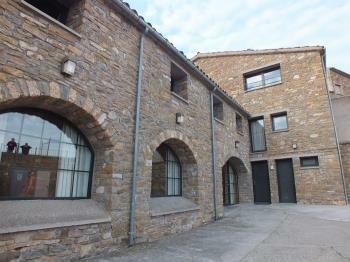 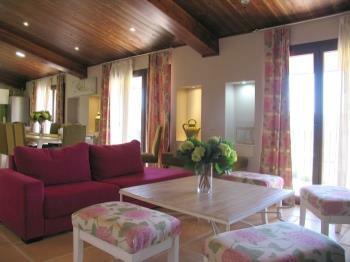 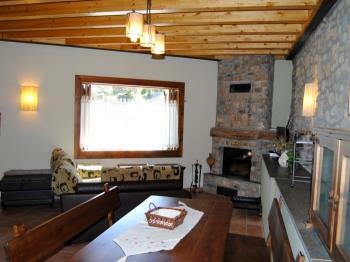 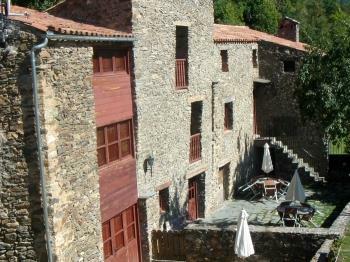 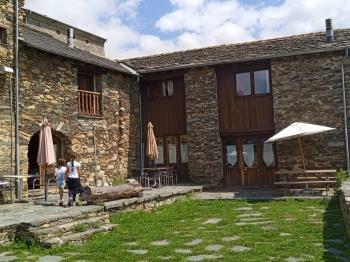 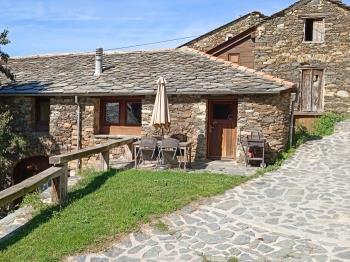 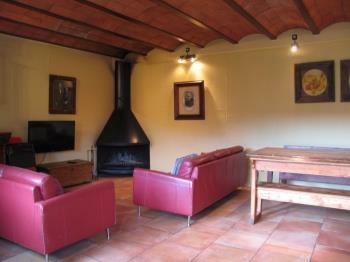 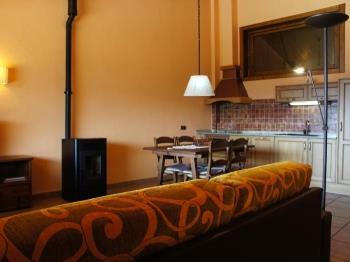 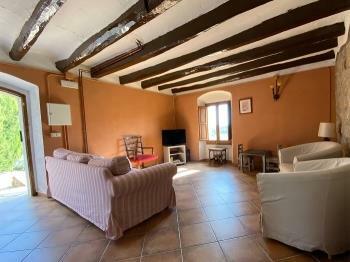 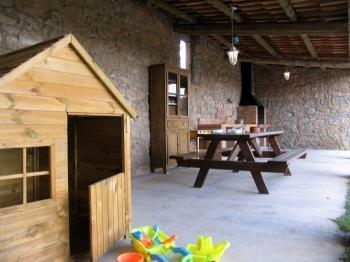 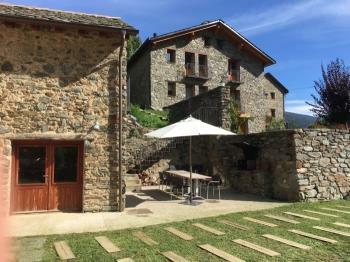 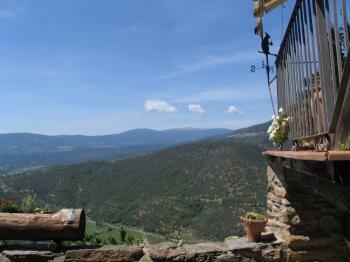 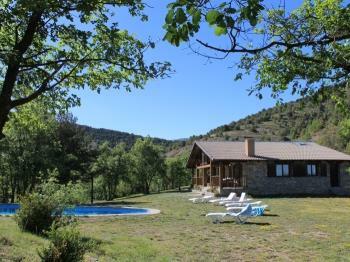 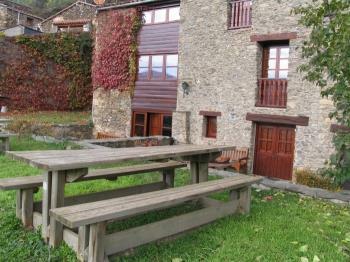 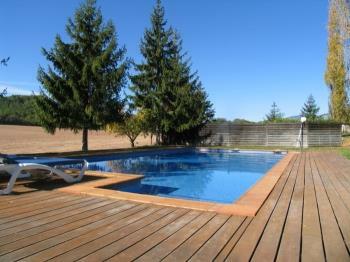 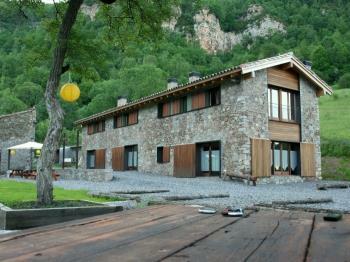 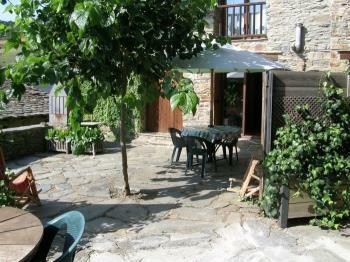 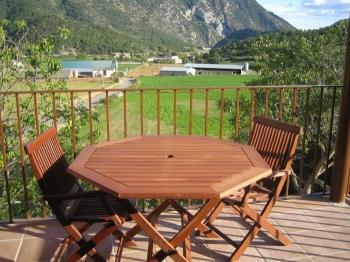 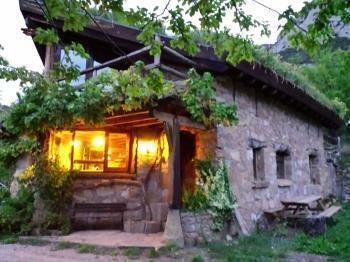 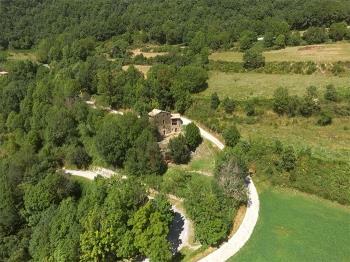 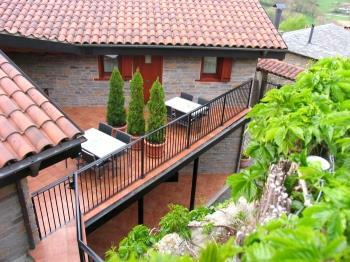 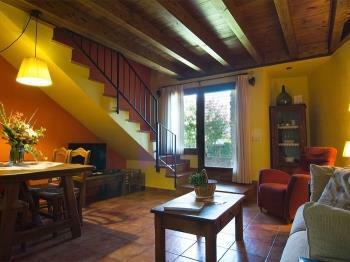 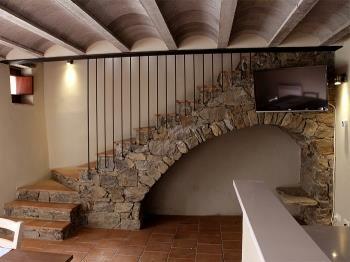 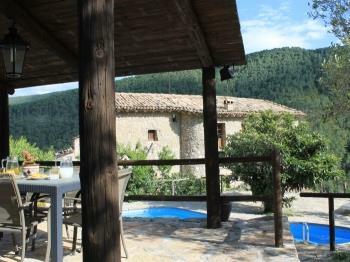 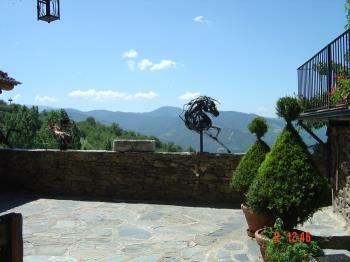 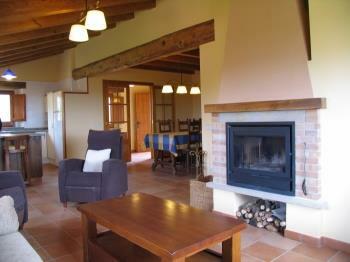 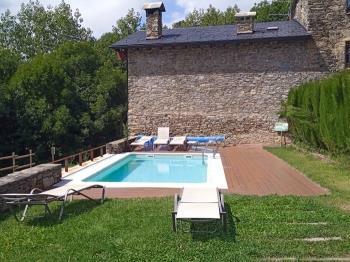 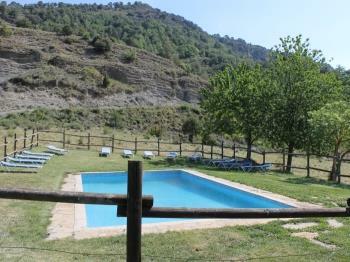 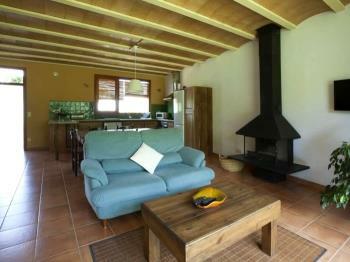 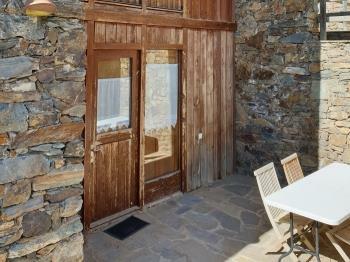 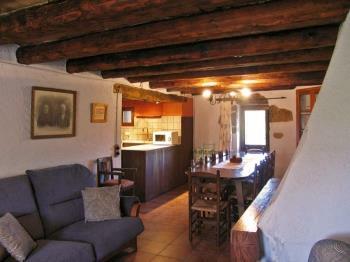 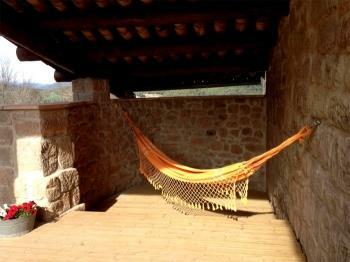 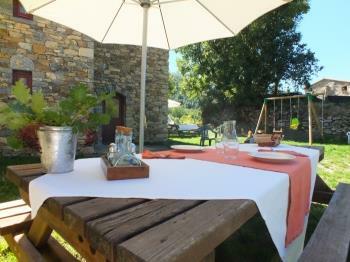 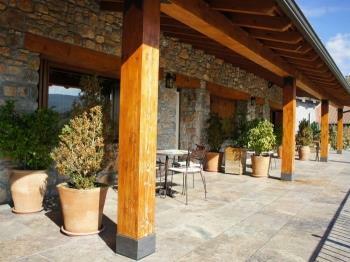 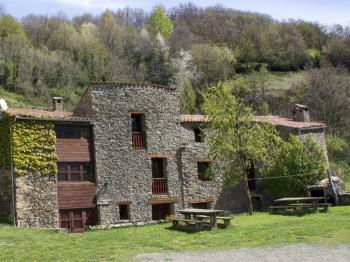 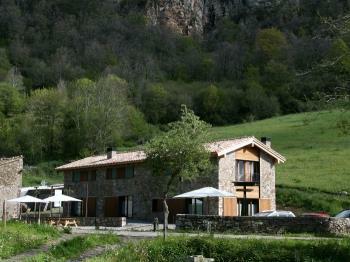 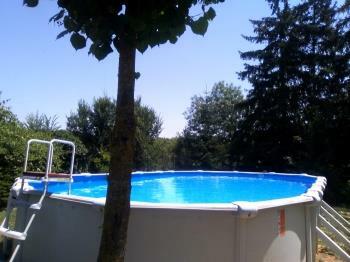 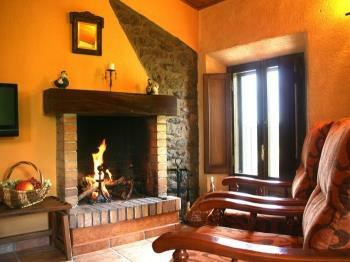 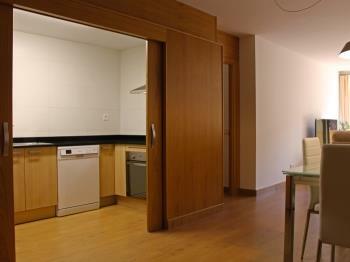 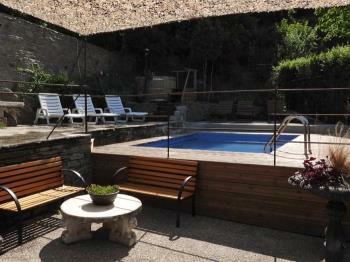 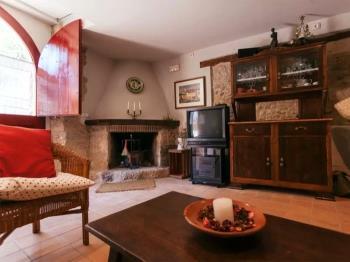 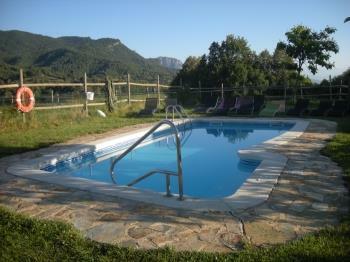 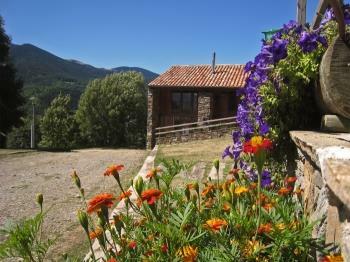 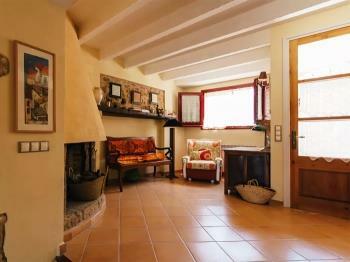 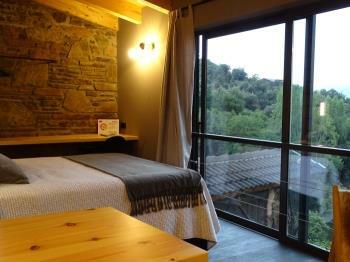 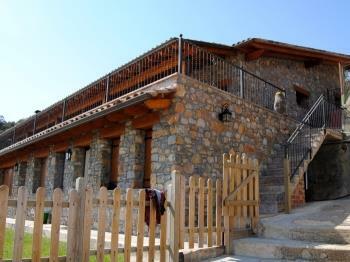 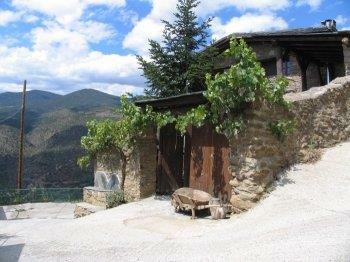 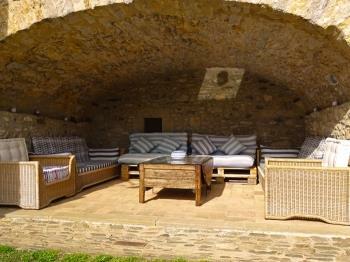 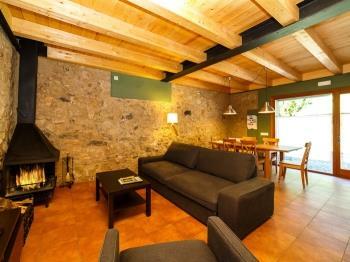 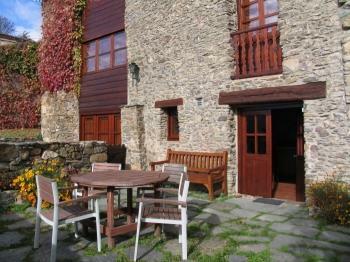 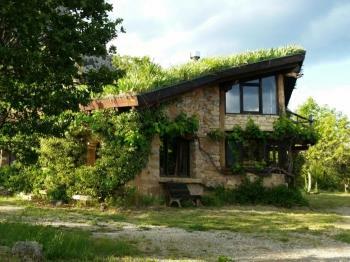 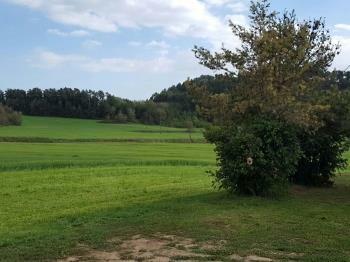 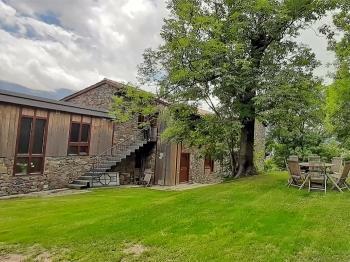 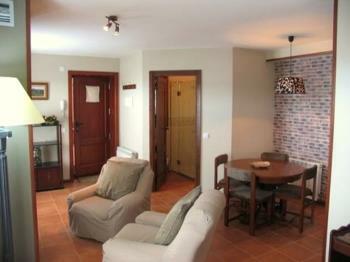 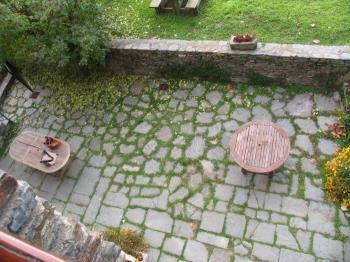 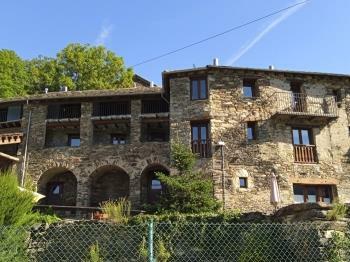 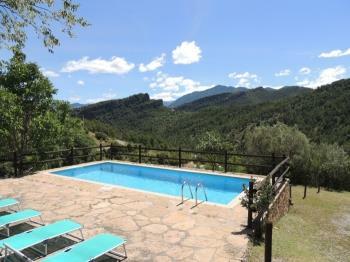 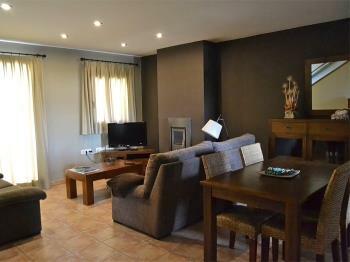 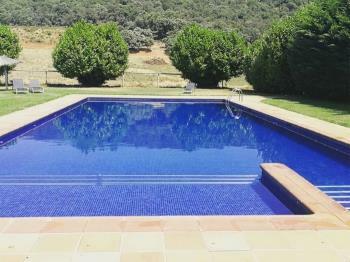 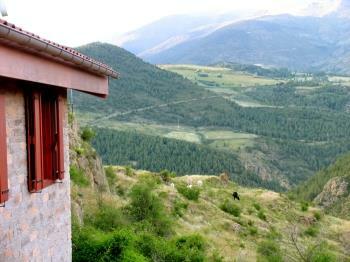 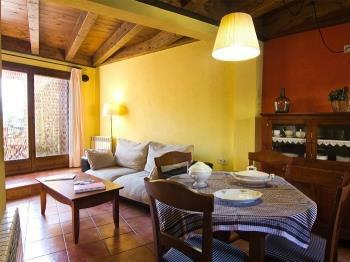 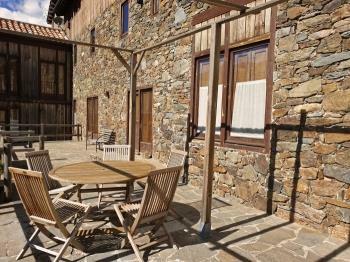 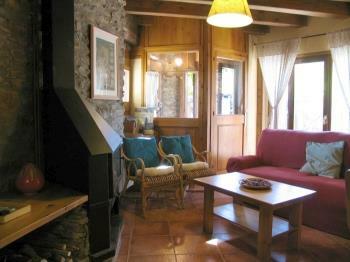 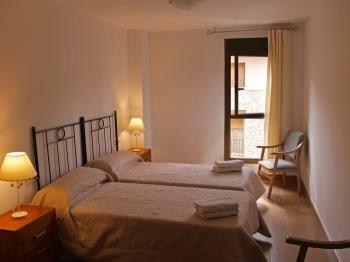 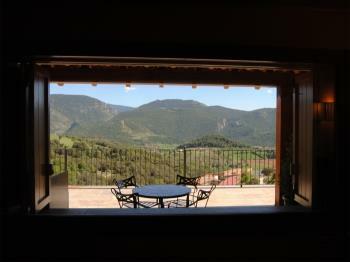 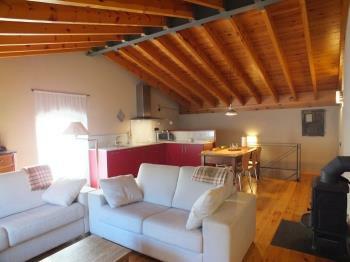 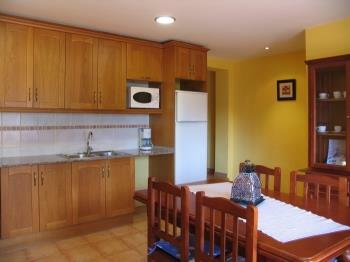 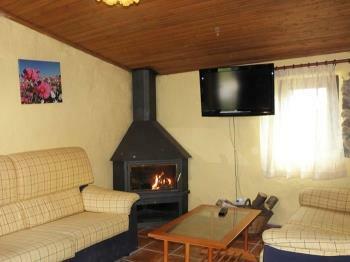 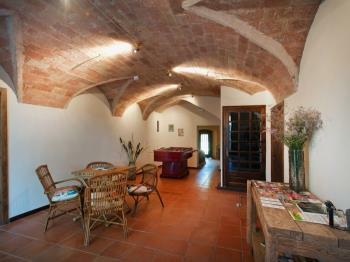 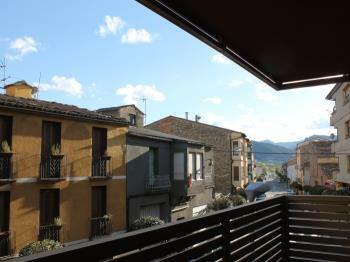 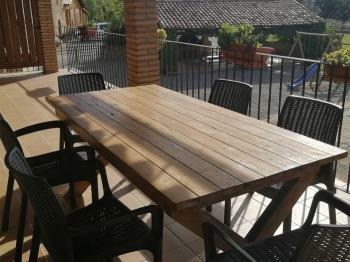 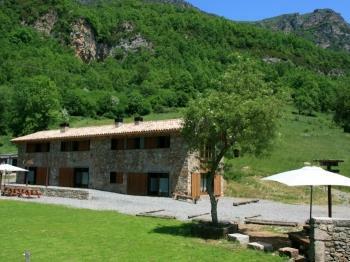 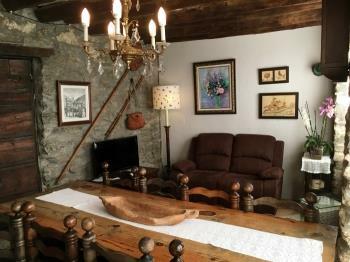 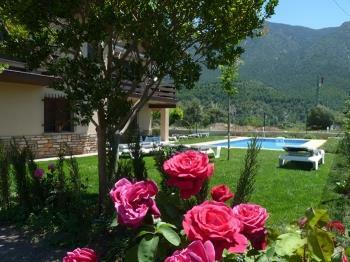 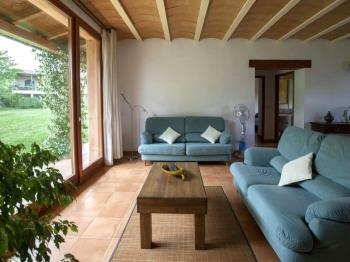 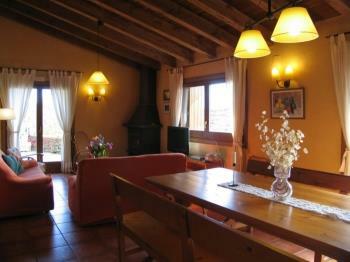 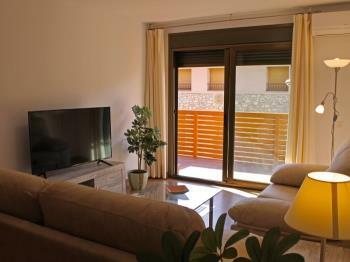 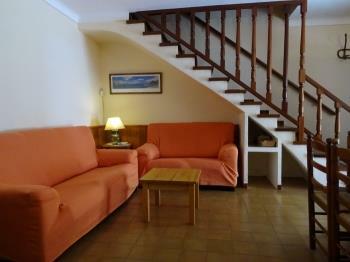 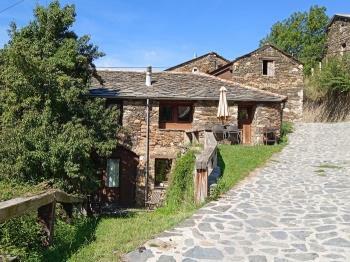 Located on the outskirts of the village of Cerc, 4 km from the Seo of Urgell and 19 km from Andorra. 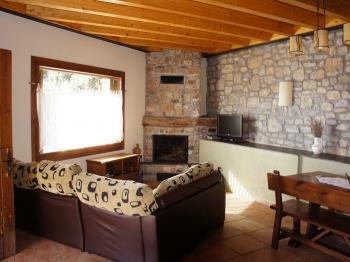 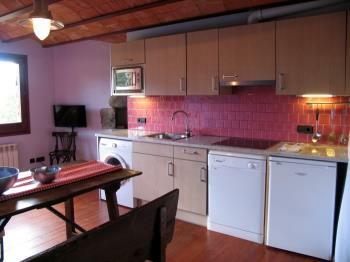 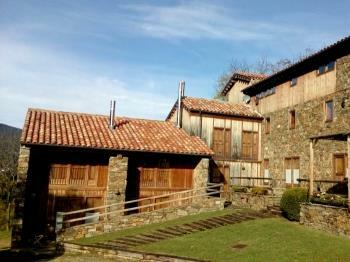 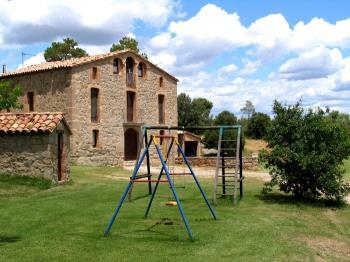 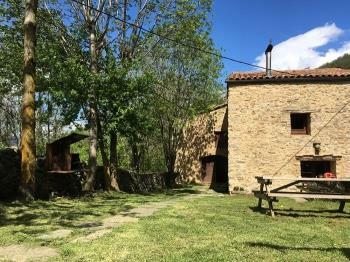 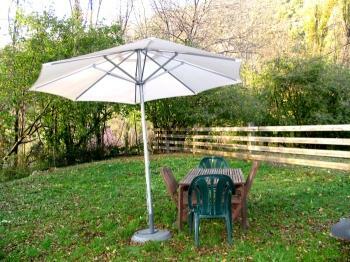 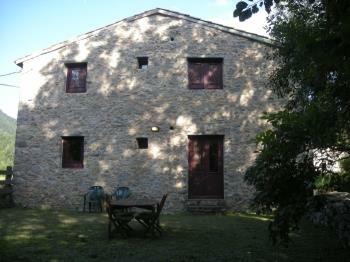 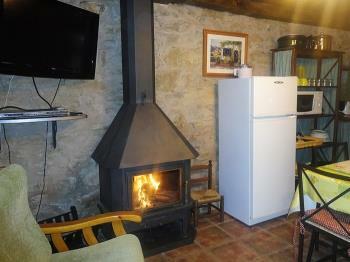 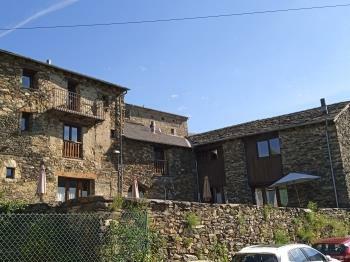 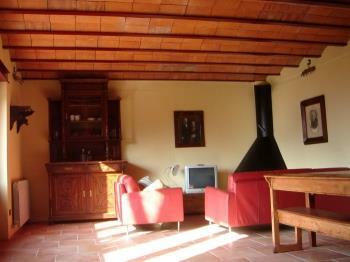 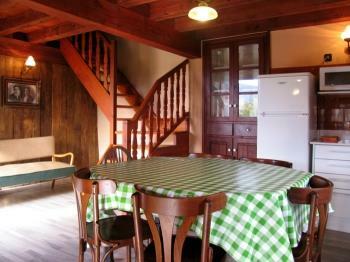 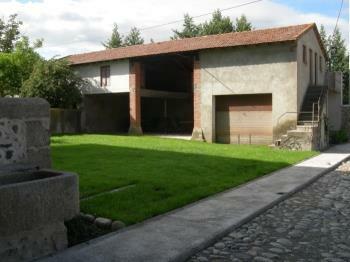 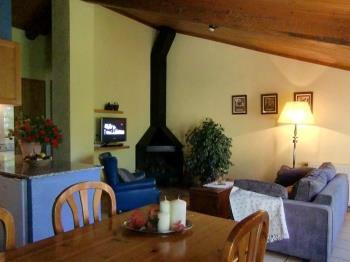 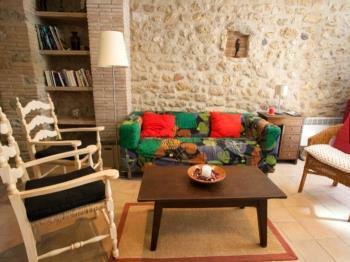 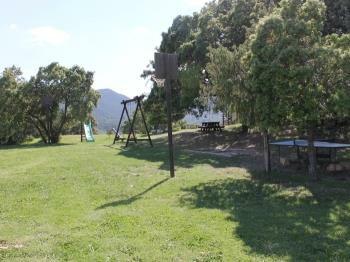 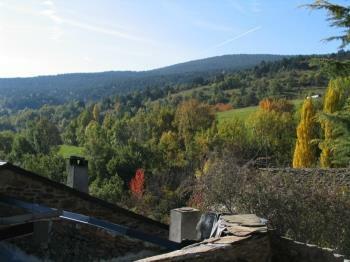 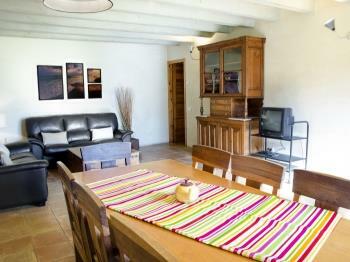 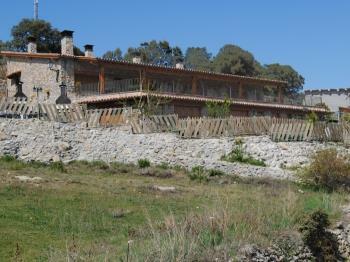 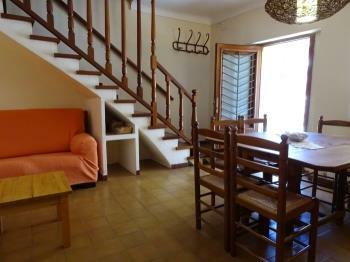 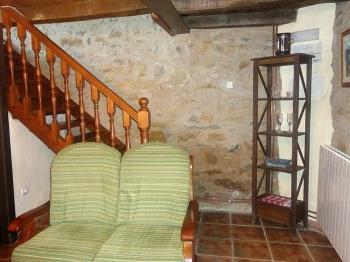 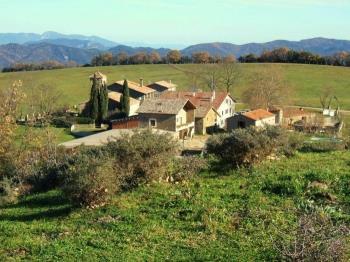 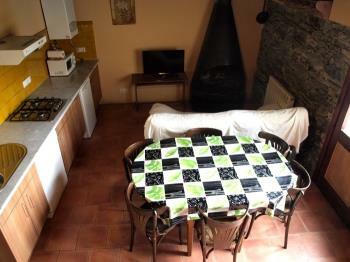 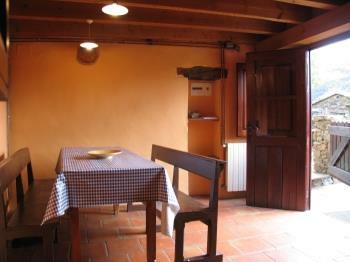 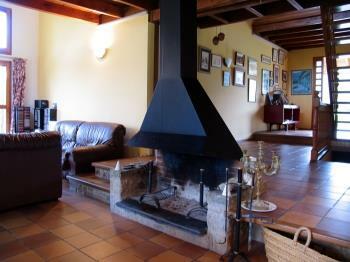 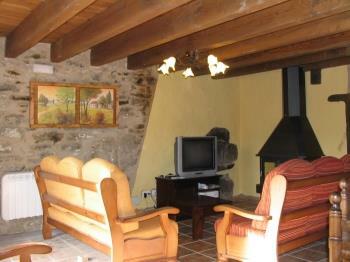 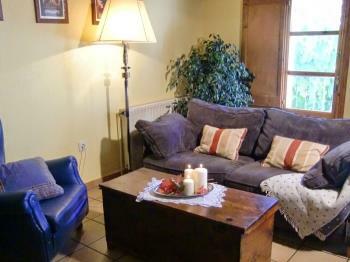 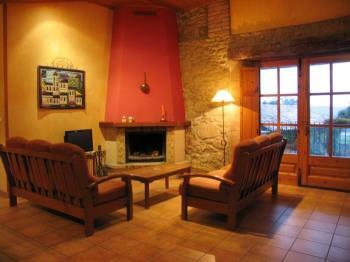 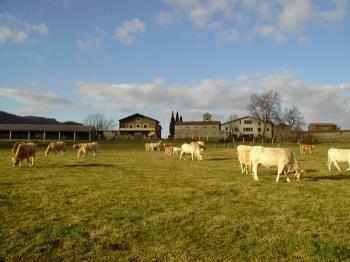 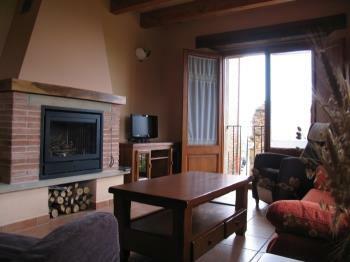 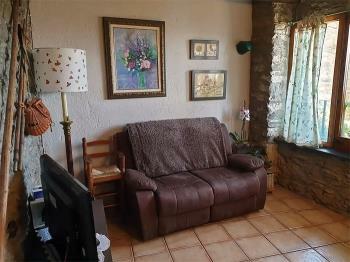 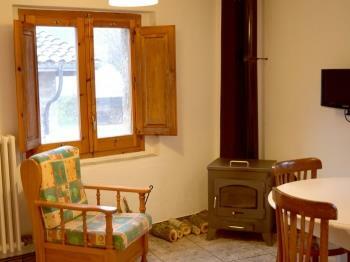 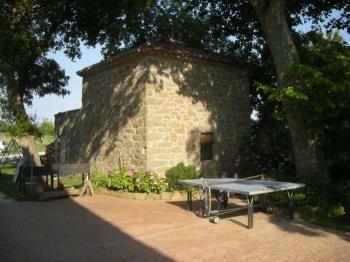 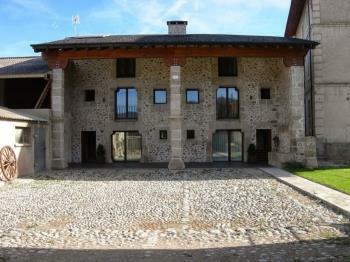 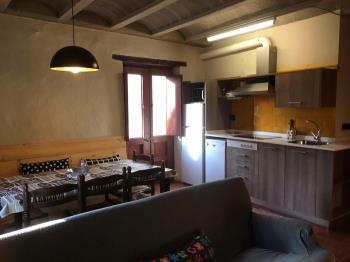 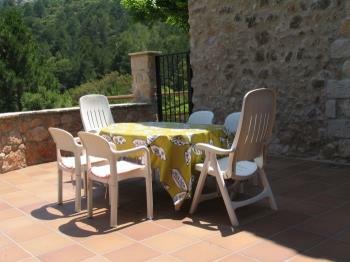 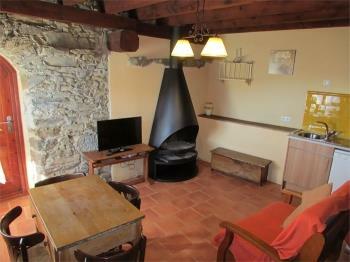 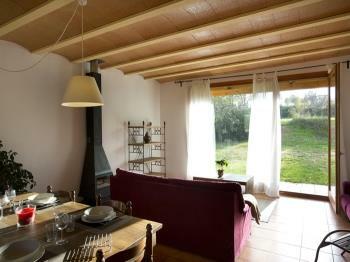 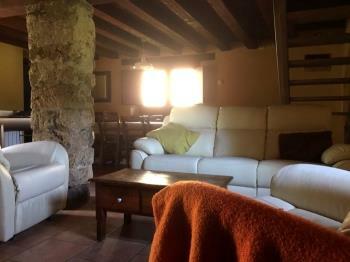 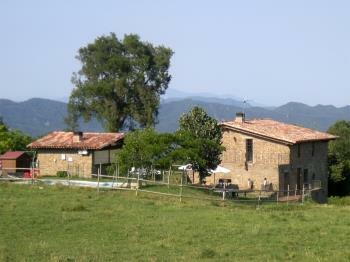 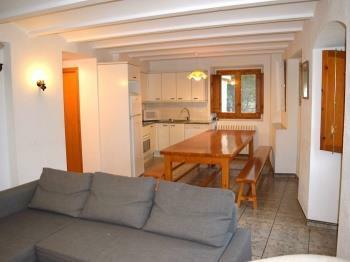 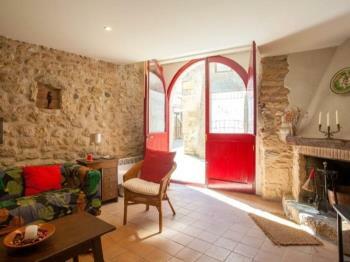 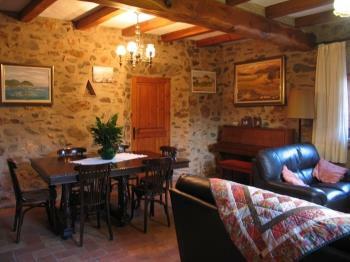 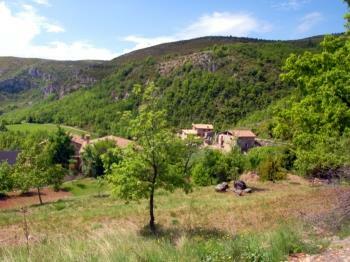 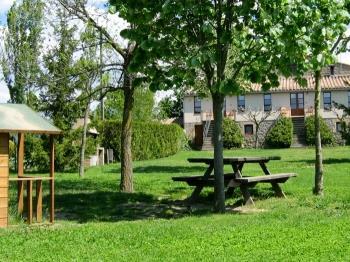 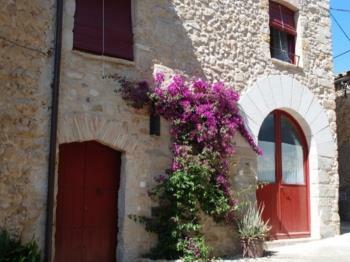 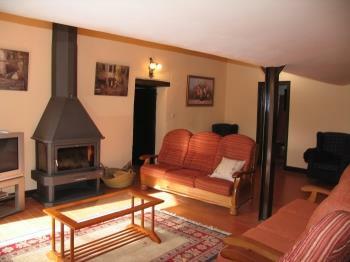 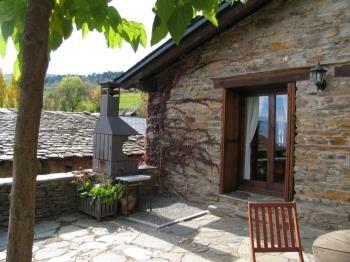 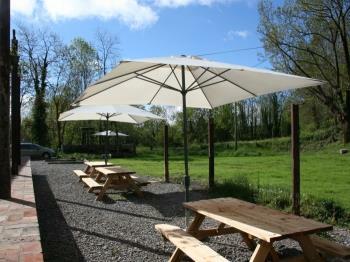 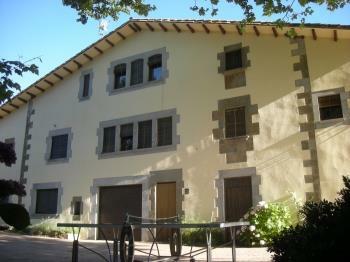 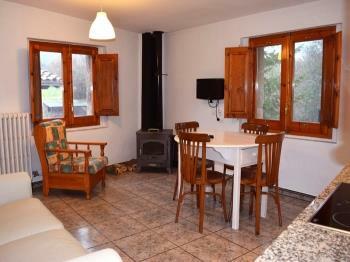 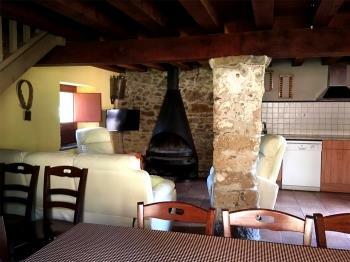 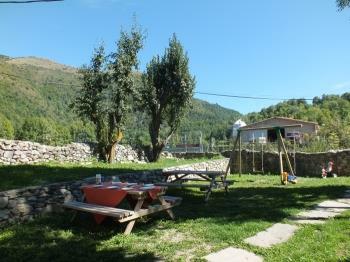 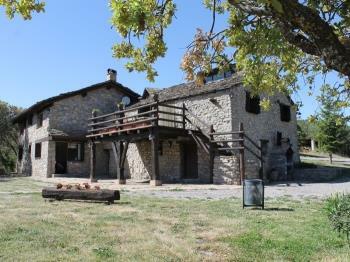 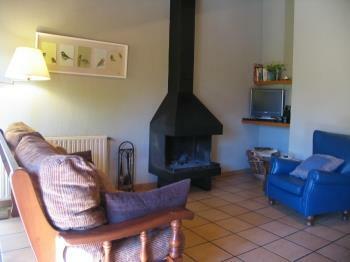 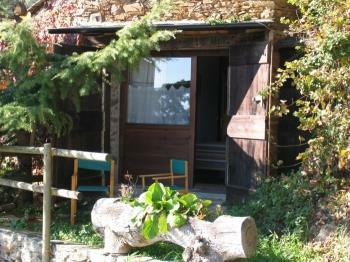 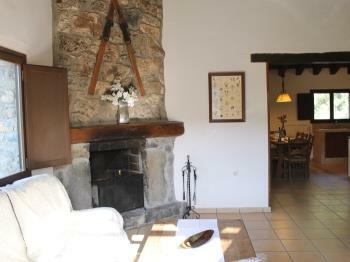 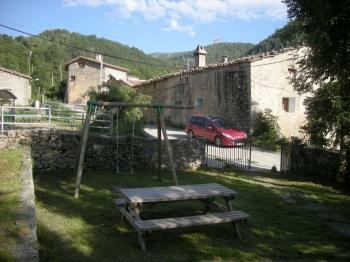 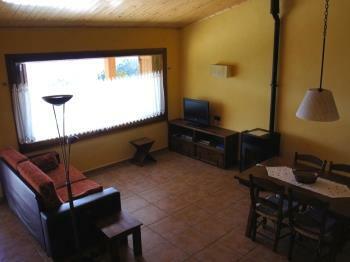 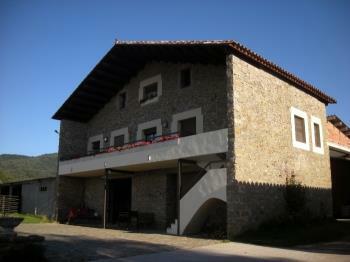 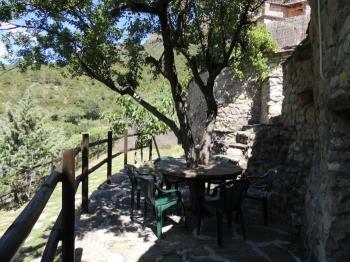 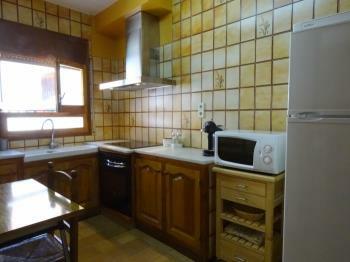 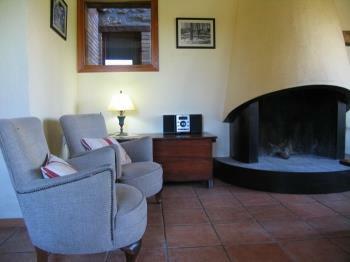 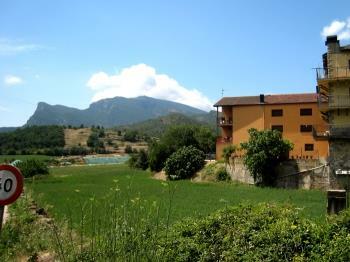 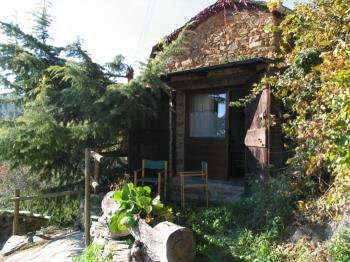 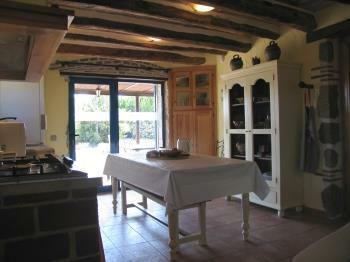 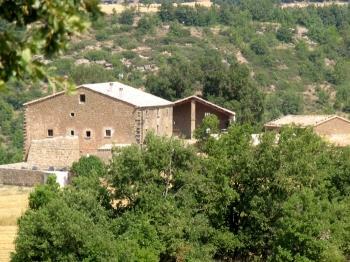 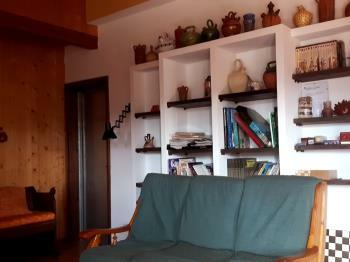 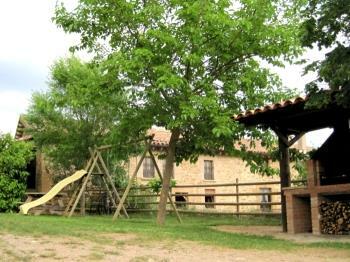 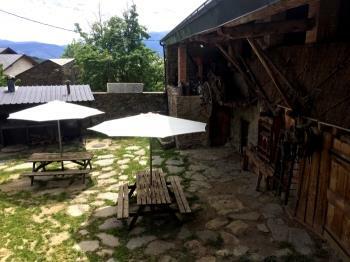 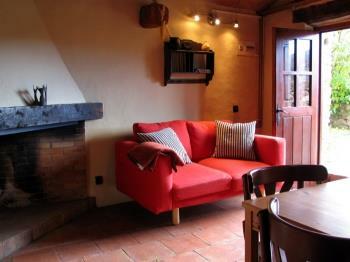 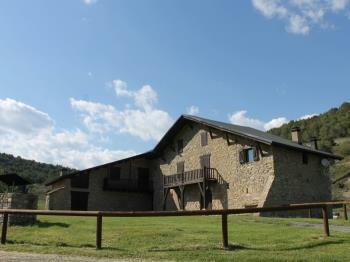 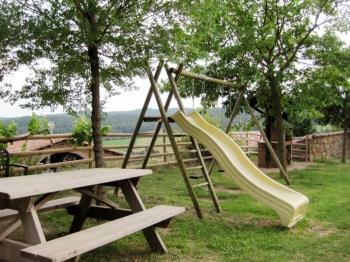 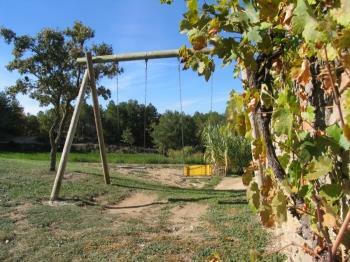 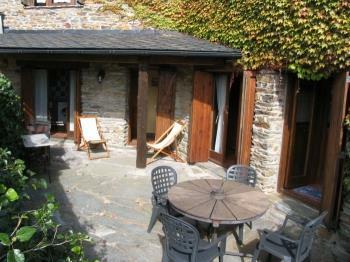 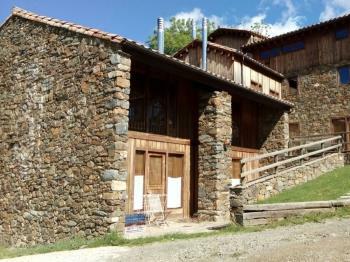 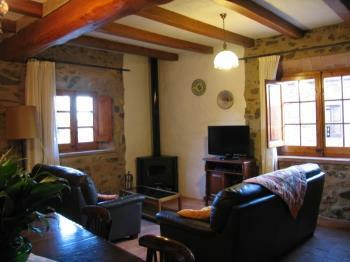 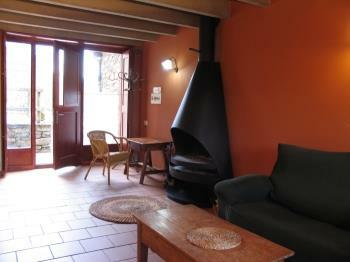 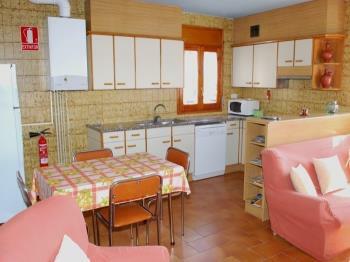 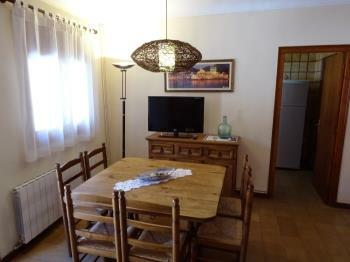 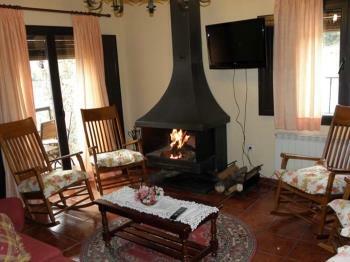 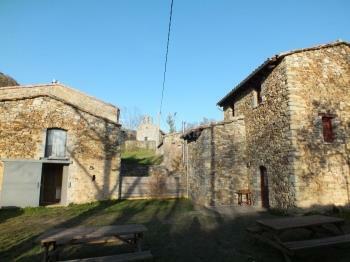 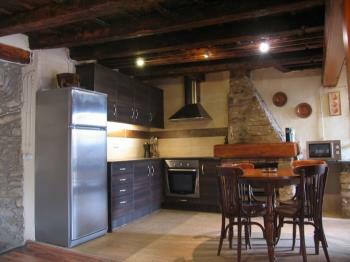 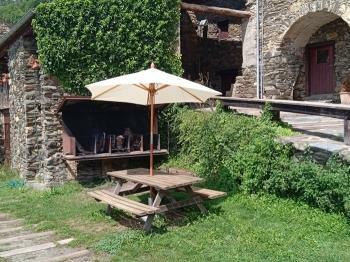 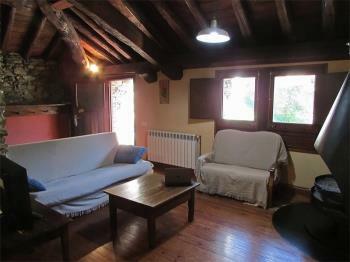 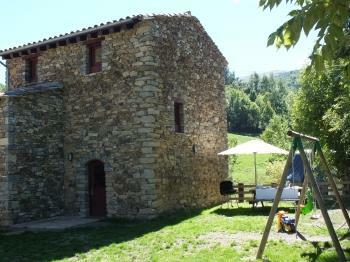 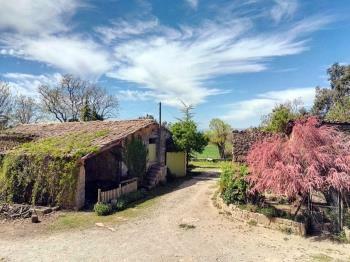 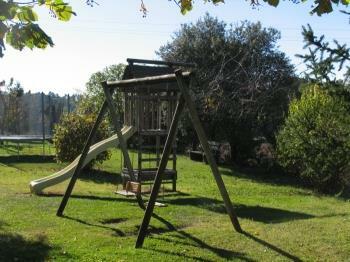 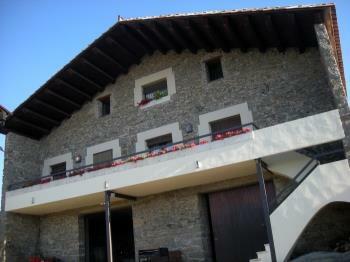 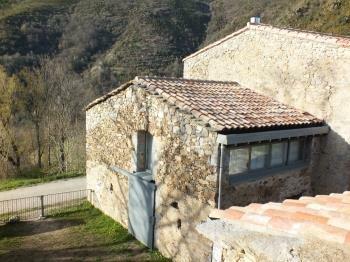 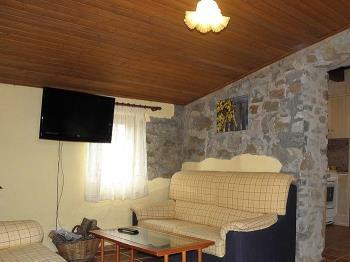 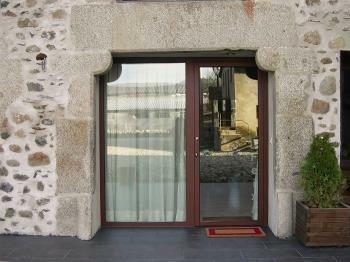 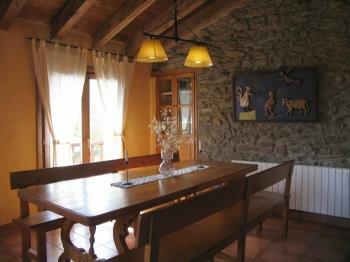 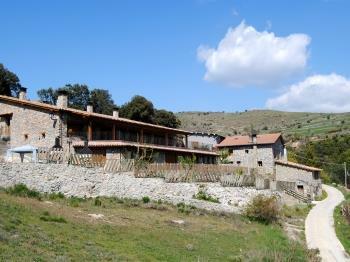 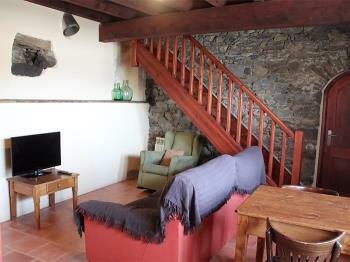 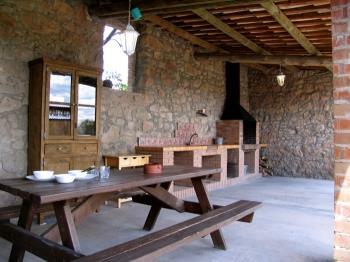 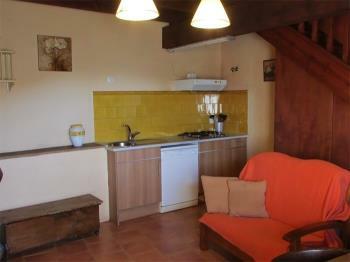 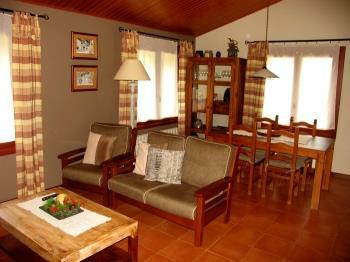 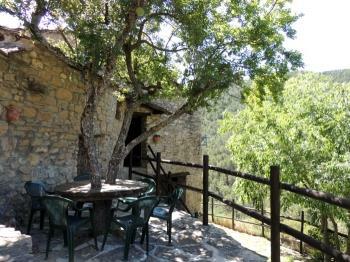 Rural accommodation in Buira, 3km from Pont de Suert. 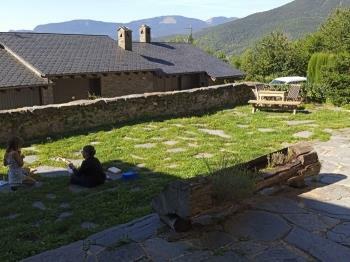 Tranquility and peace next to Vall de Boí and Parc of Aigüestortes and Estany de Sant Maurici. 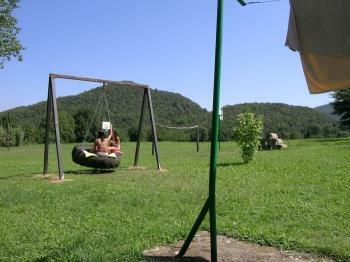 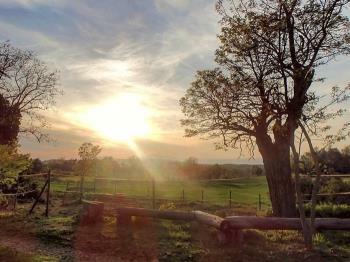 Live the nature, culture and outdoor sports. 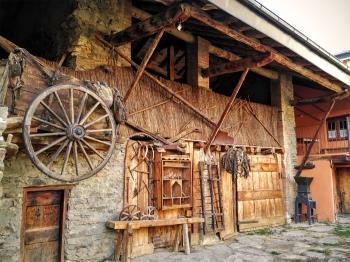 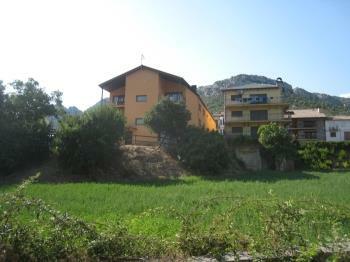 Typical village house. 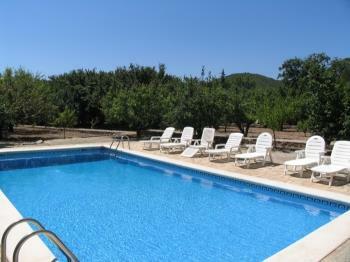 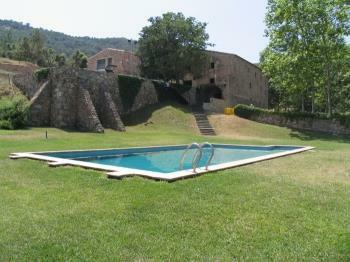 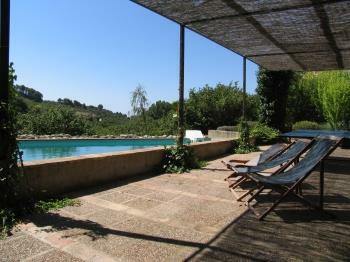 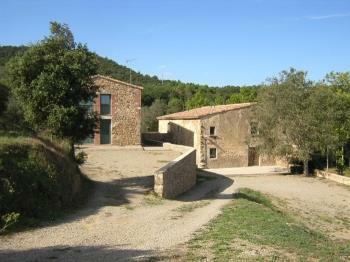 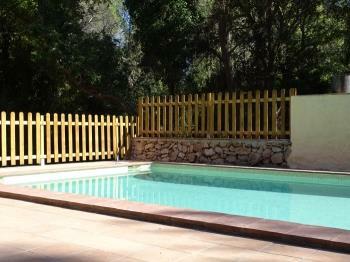 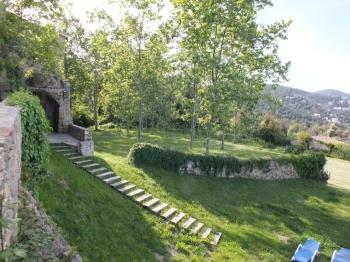 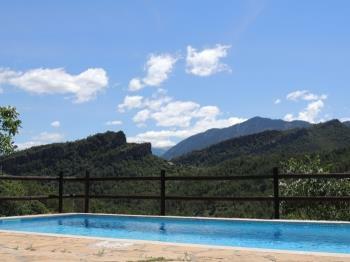 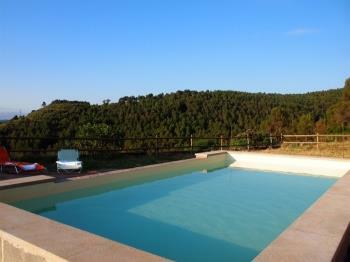 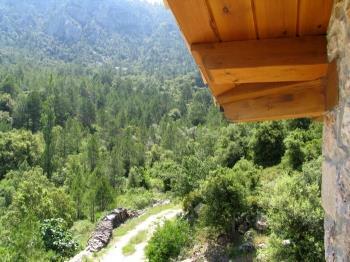 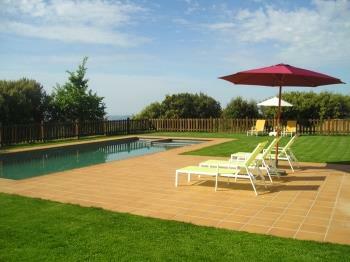 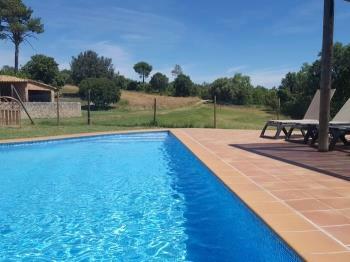 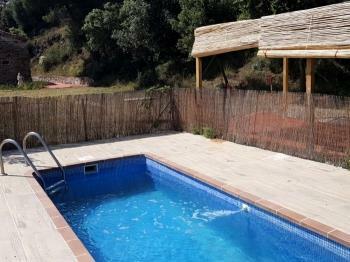 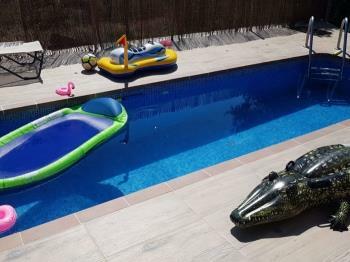 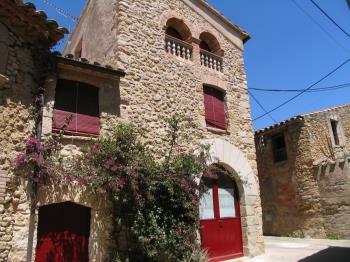 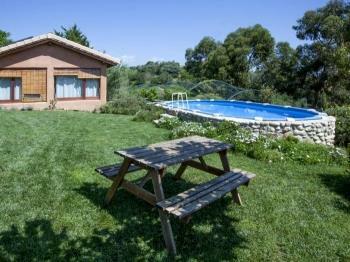 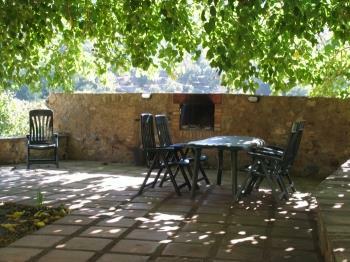 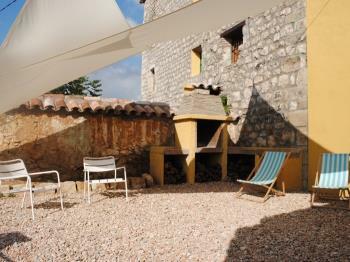 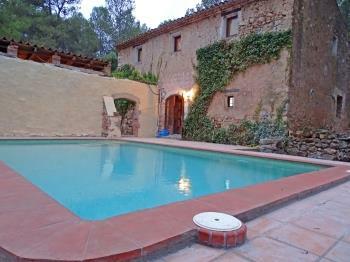 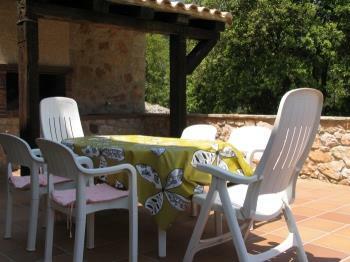 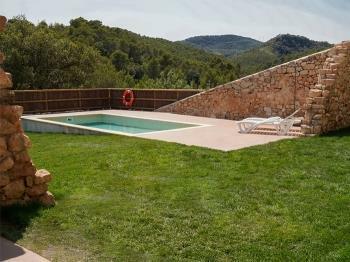 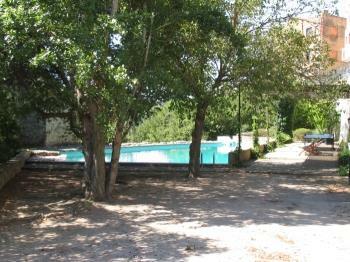 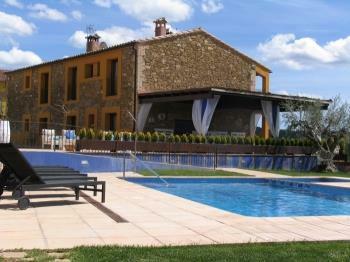 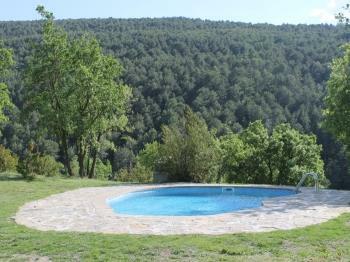 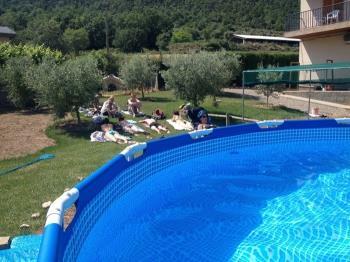 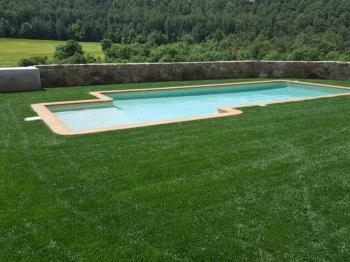 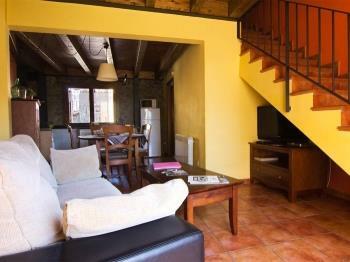 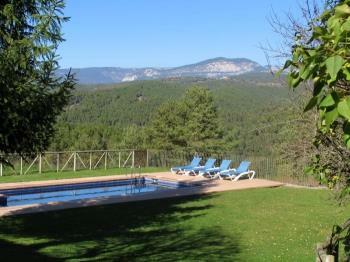 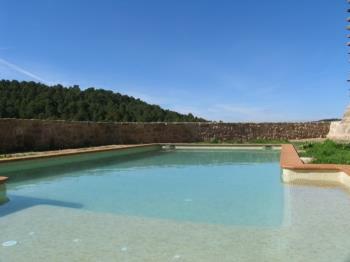 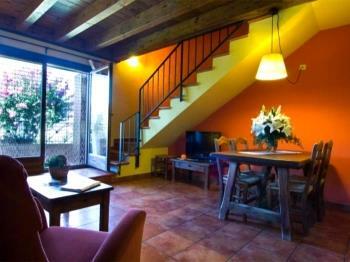 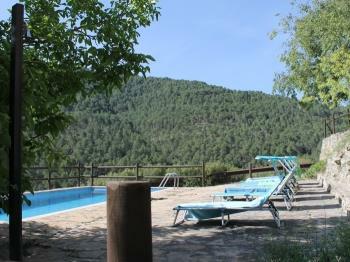 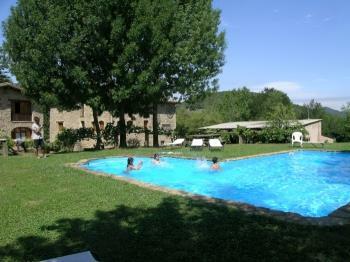 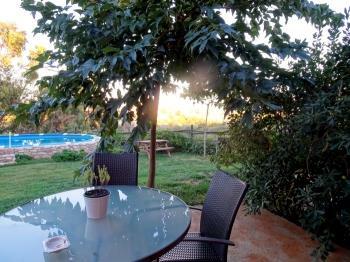 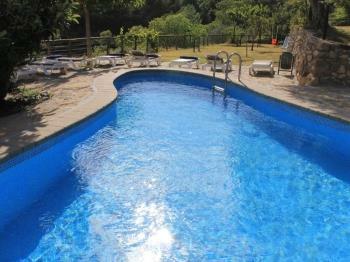 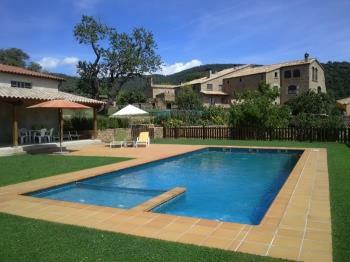 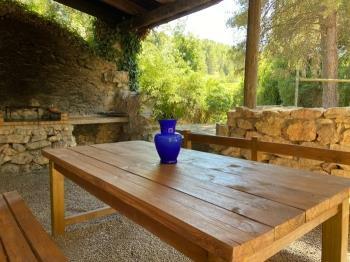 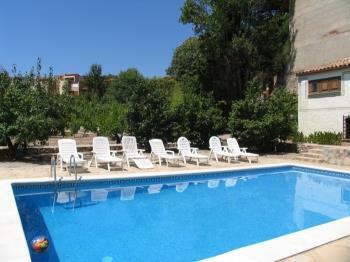 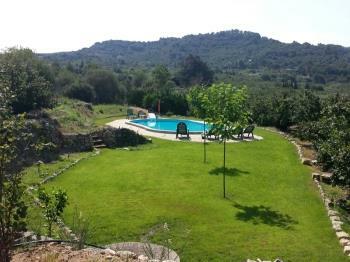 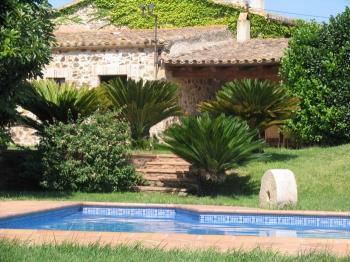 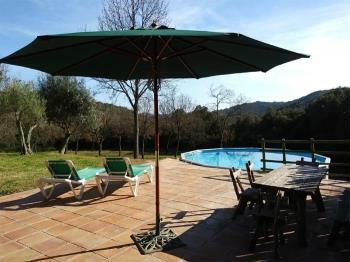 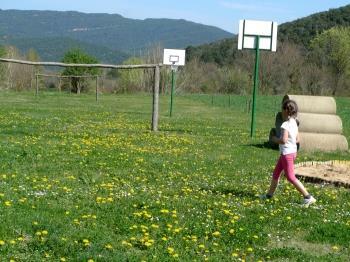 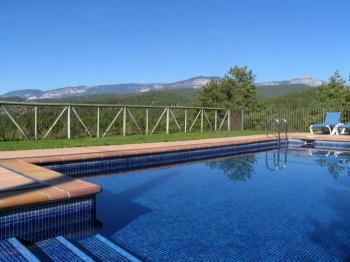 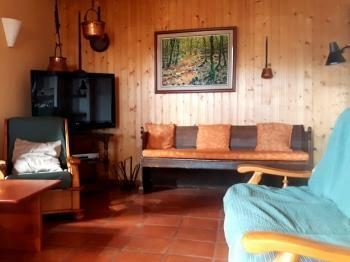 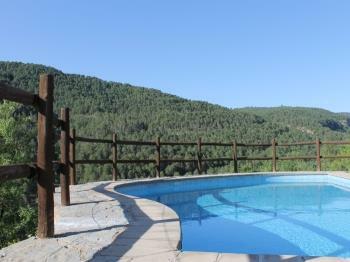 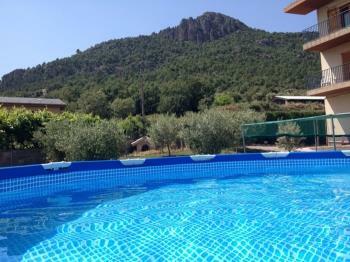 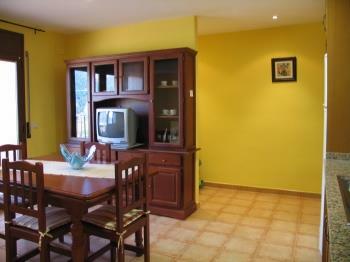 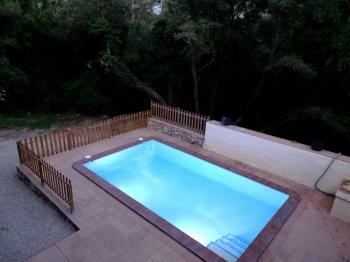 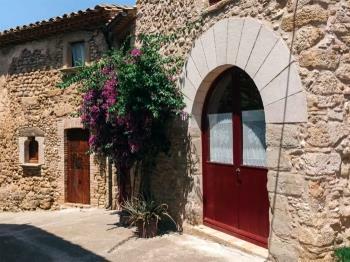 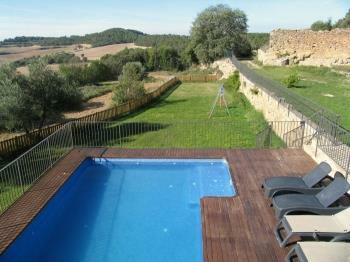 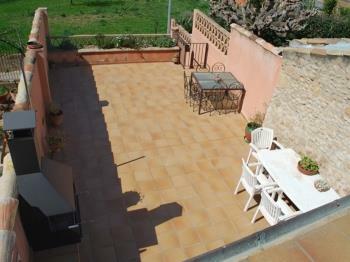 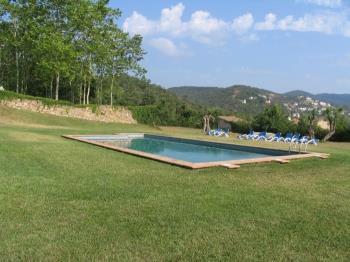 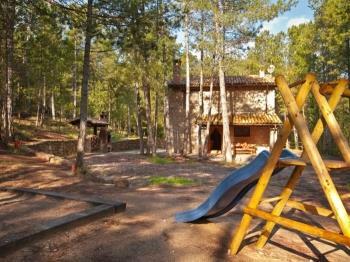 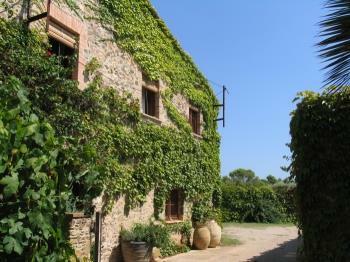 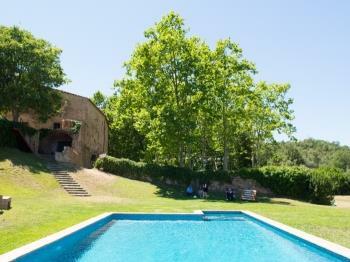 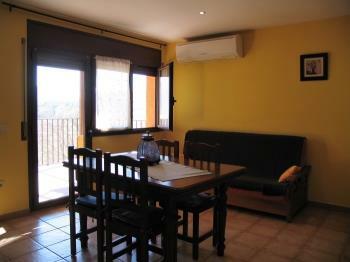 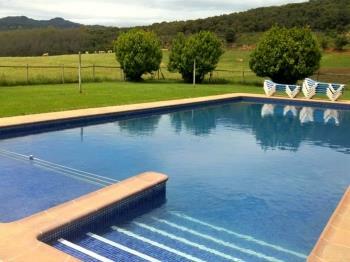 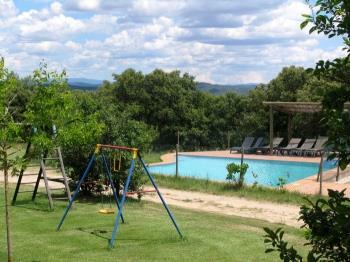 20 minutes from the beach, 3km from Garriguella. 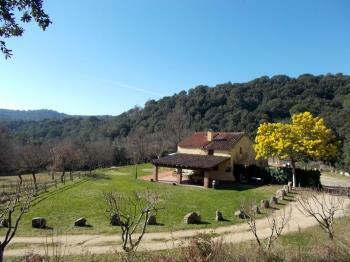 Near the Natural Park of Aiguamolls de l’Empordà. 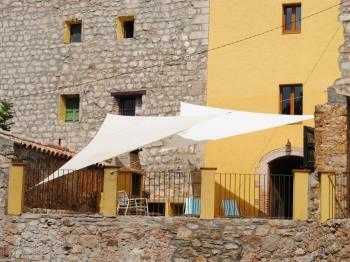 Windsurfing in Costa Brava. 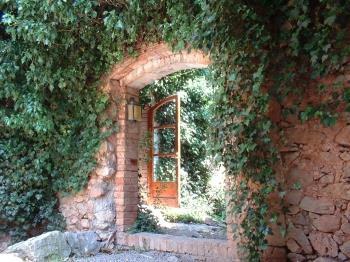 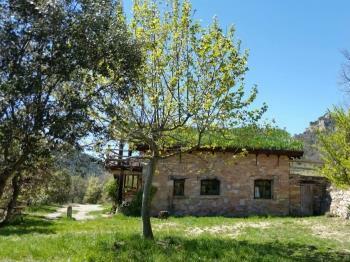 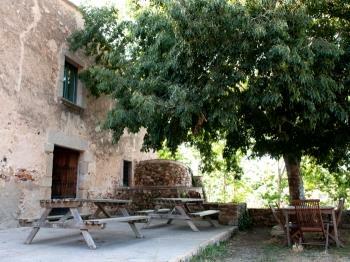 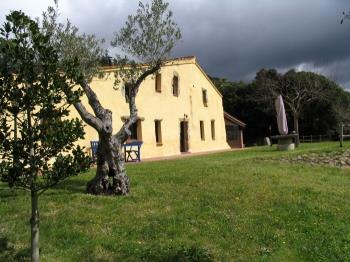 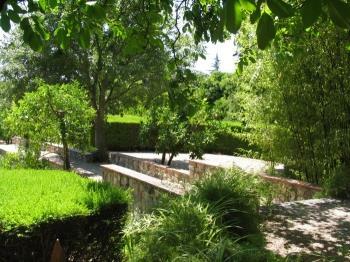 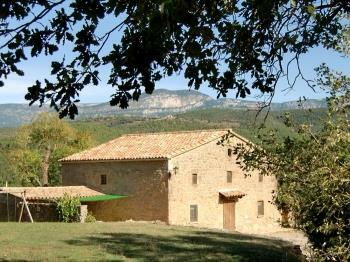 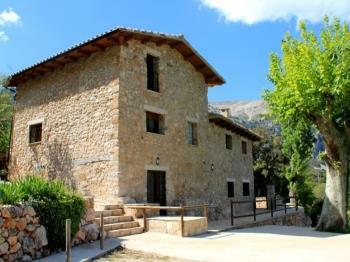 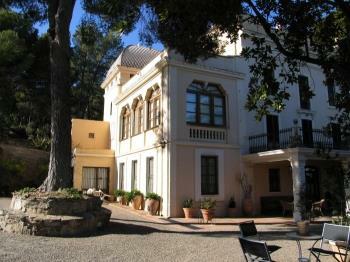 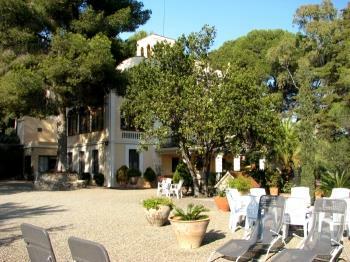 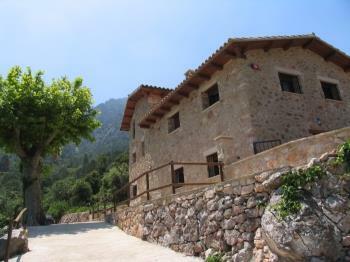 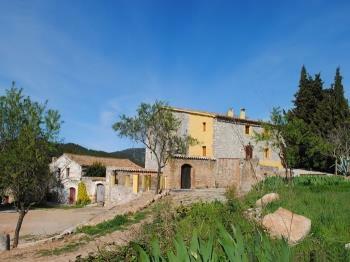 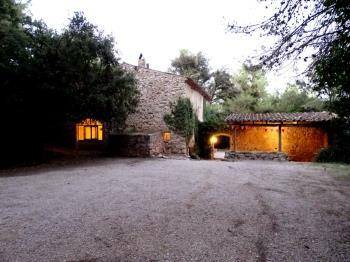 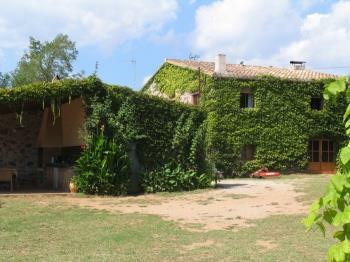 Isolated farmhouse in the Park of the Ports de Tortosa - Beceite. 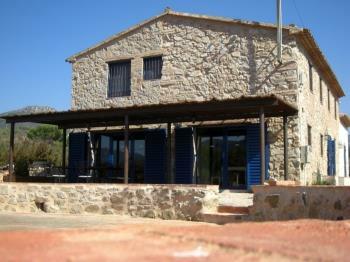 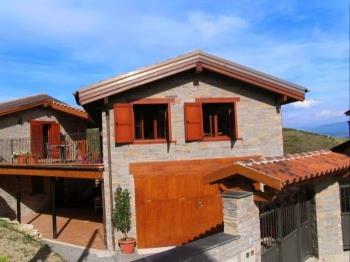 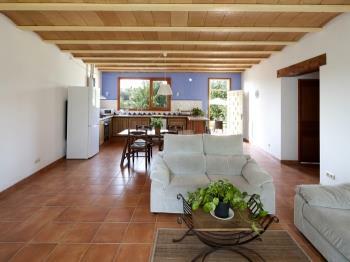 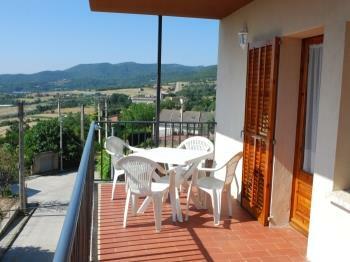 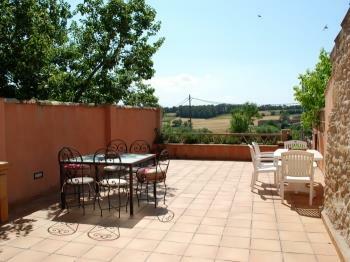 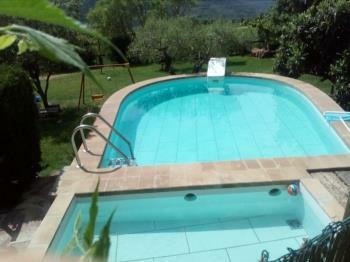 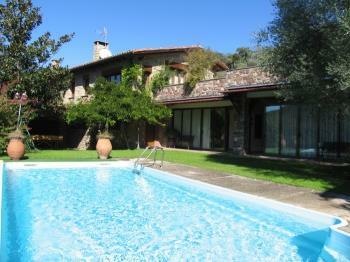 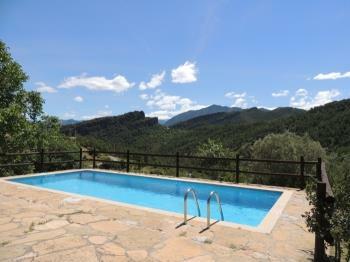 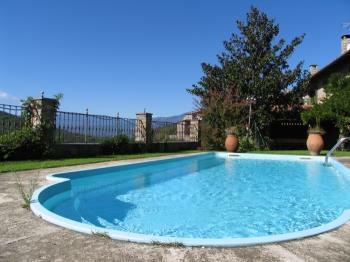 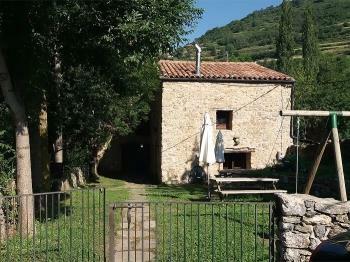 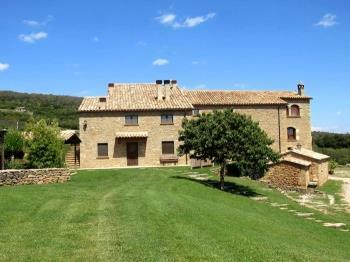 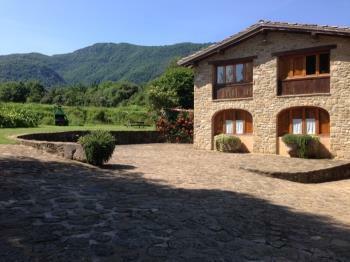 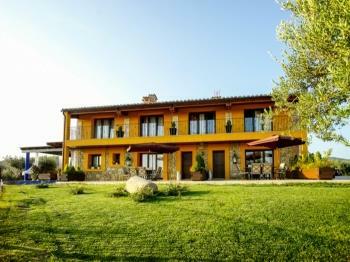 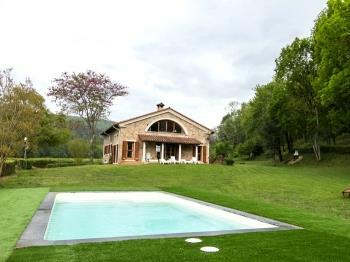 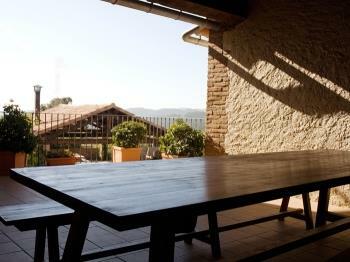 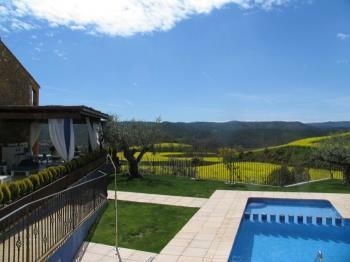 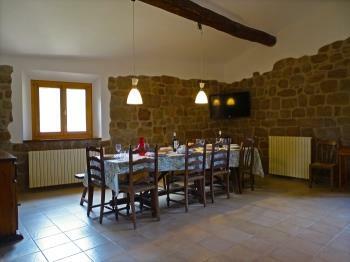 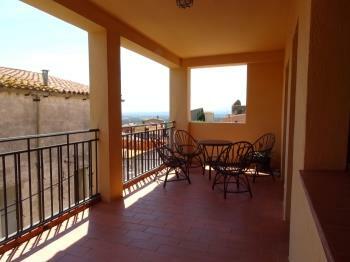 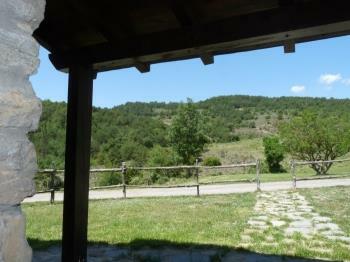 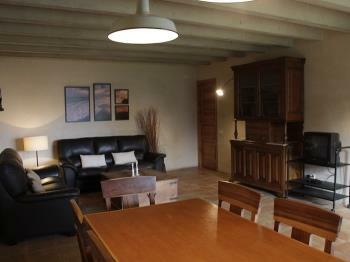 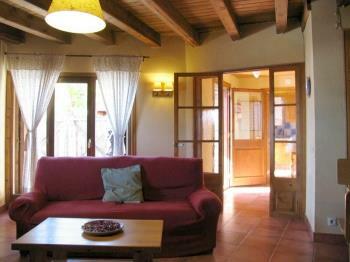 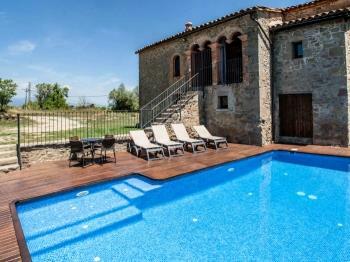 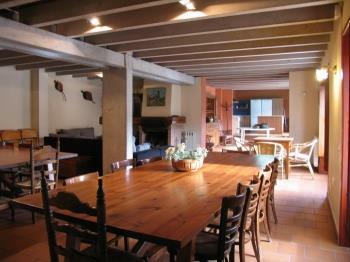 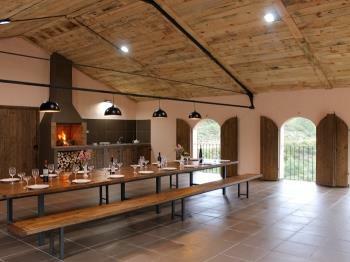 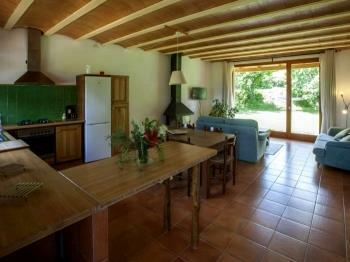 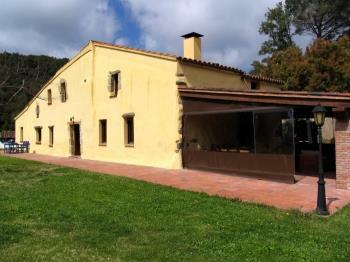 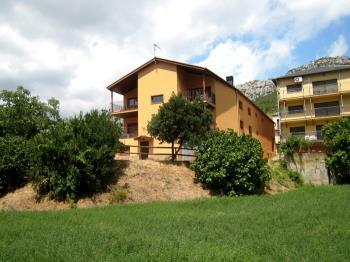 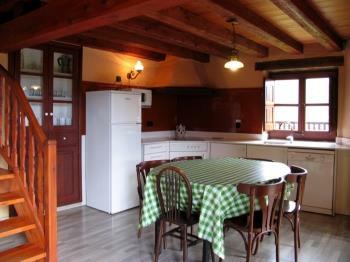 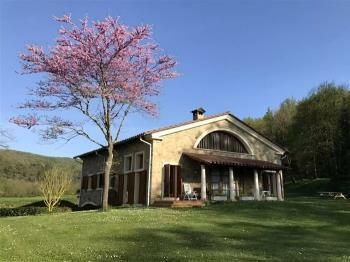 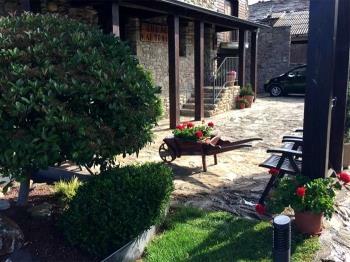 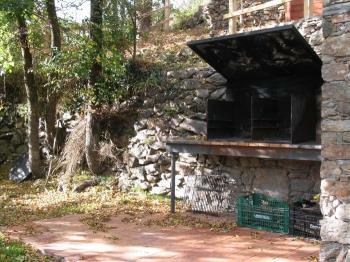 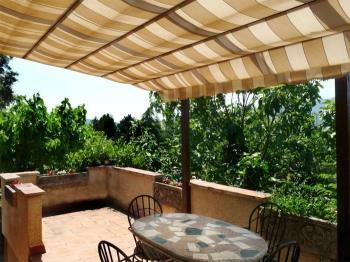 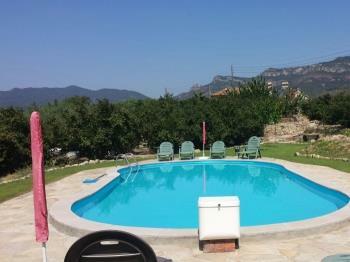 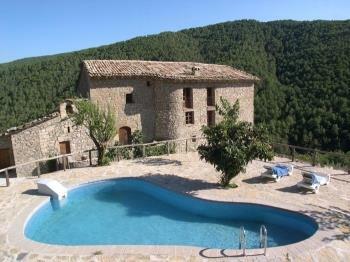 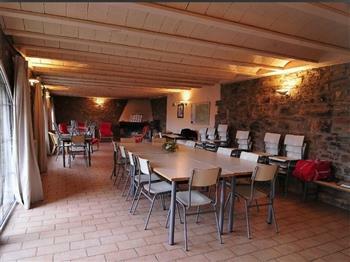 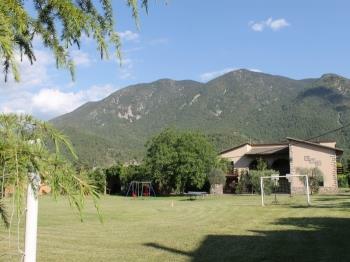 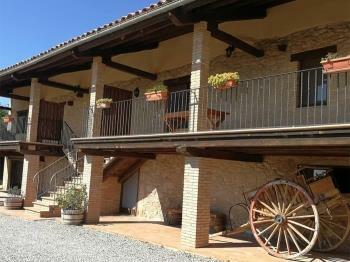 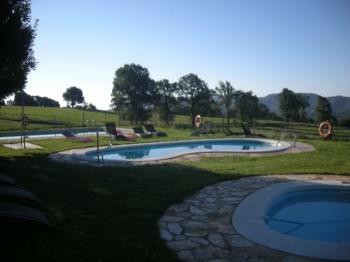 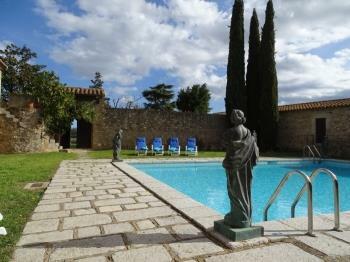 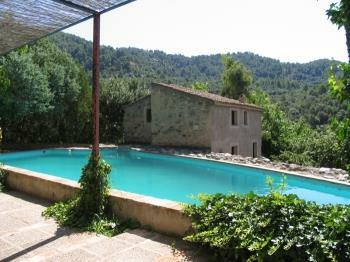 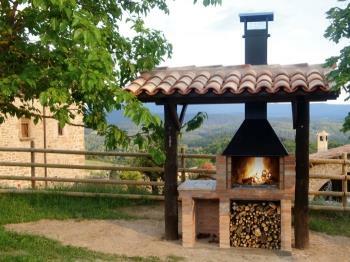 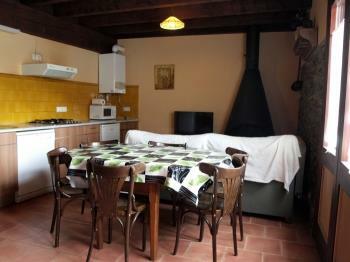 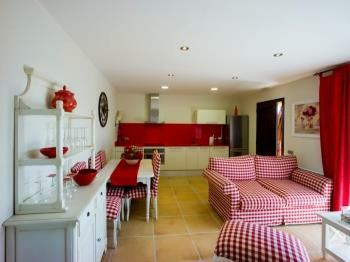 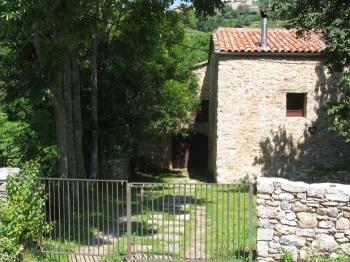 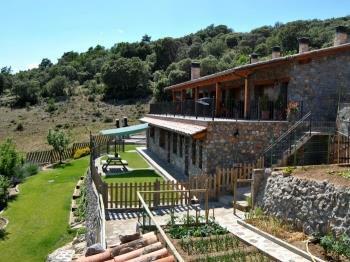 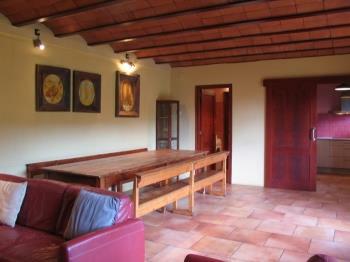 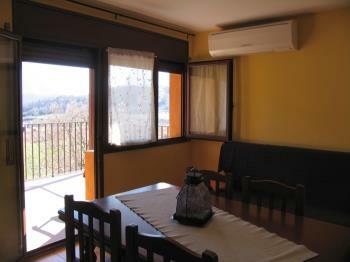 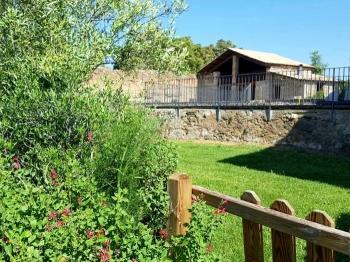 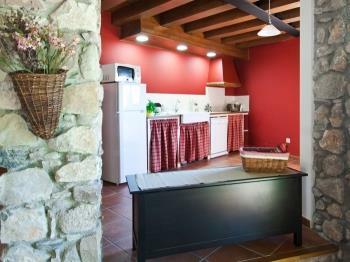 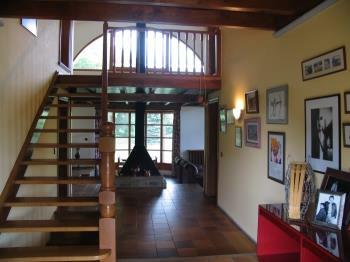 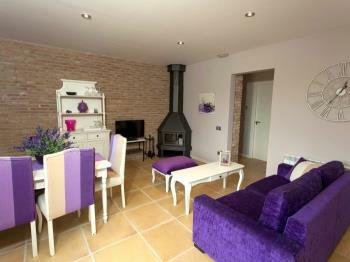 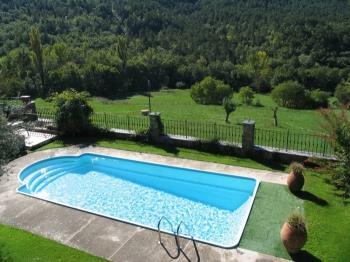 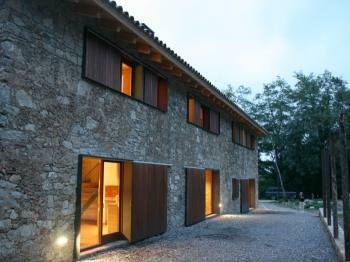 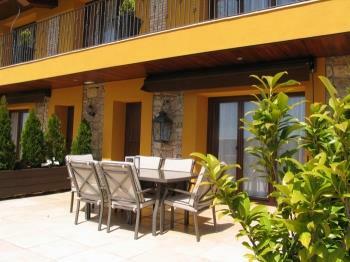 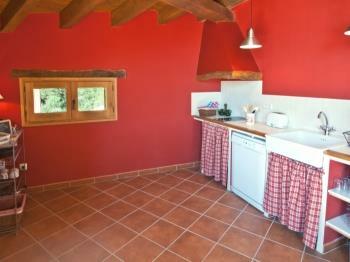 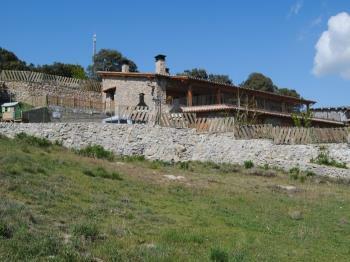 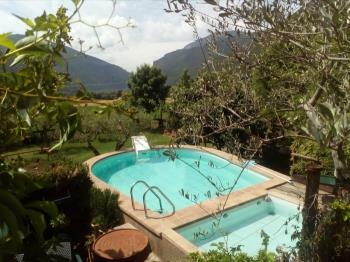 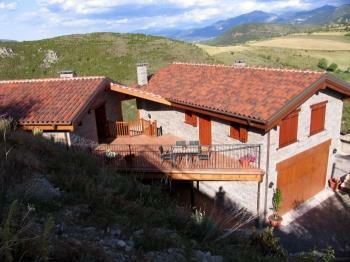 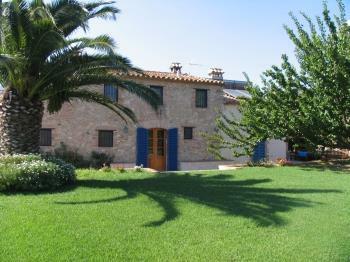 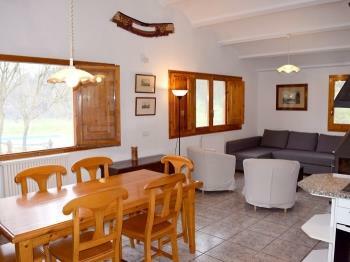 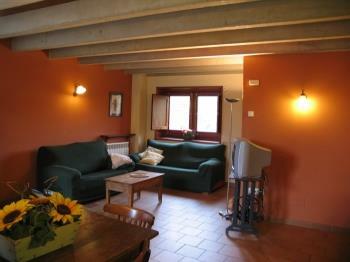 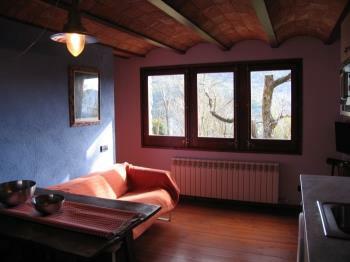 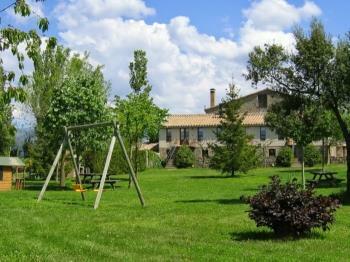 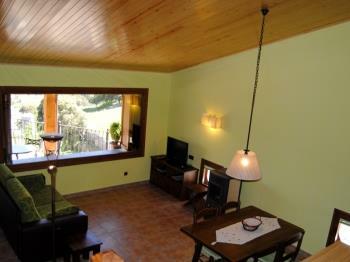 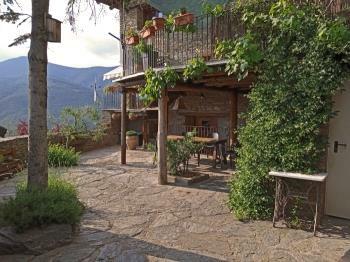 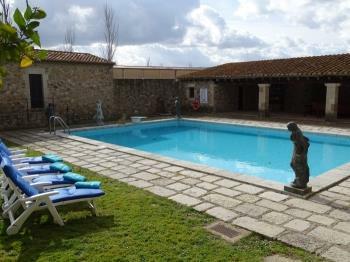 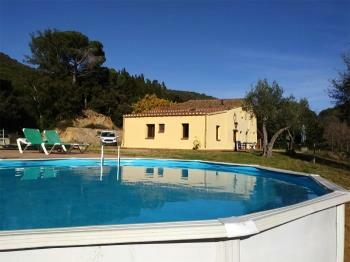 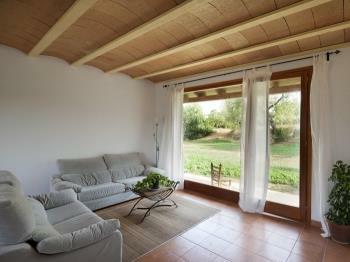 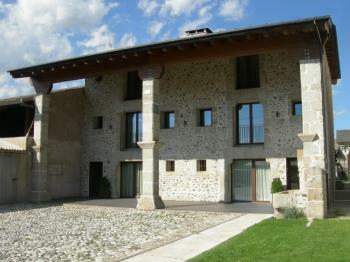 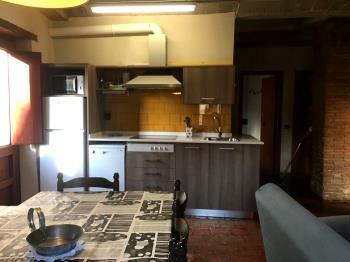 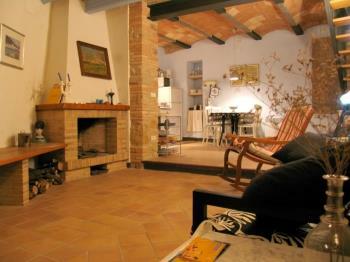 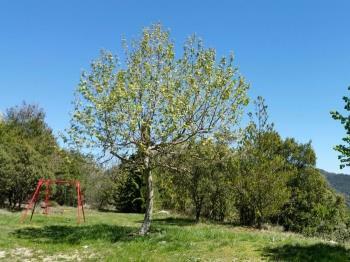 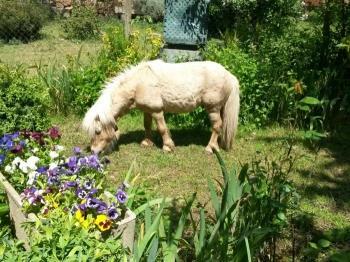 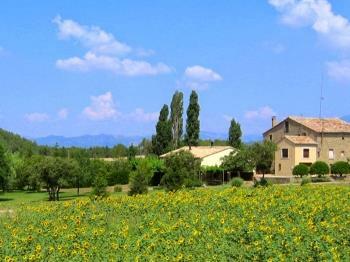 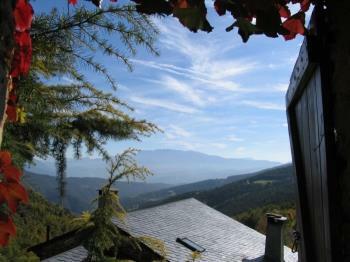 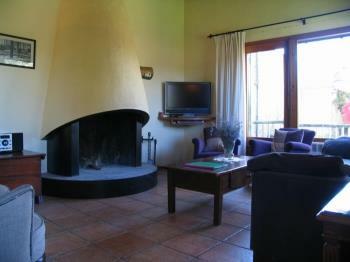 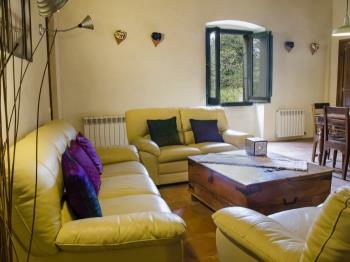 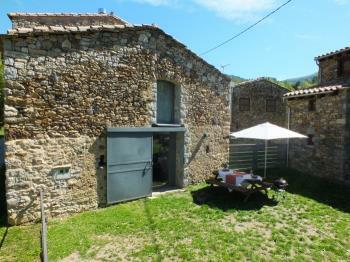 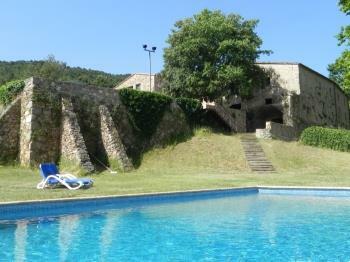 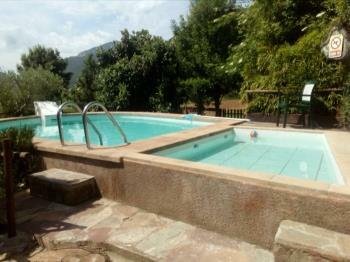 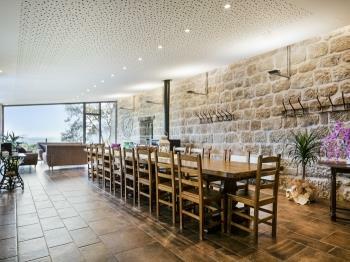 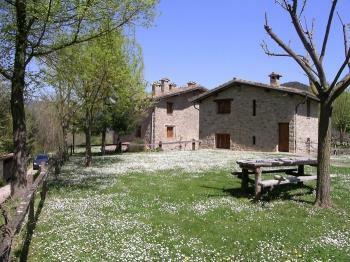 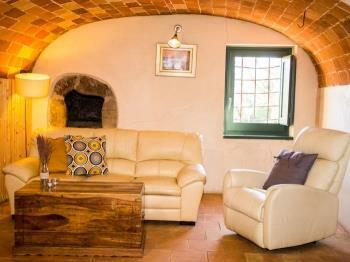 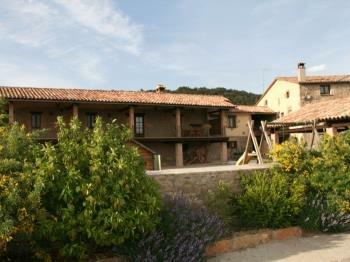 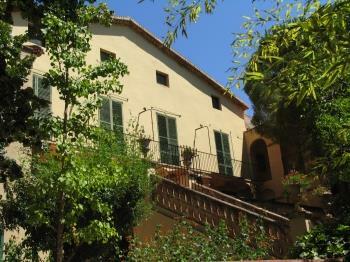 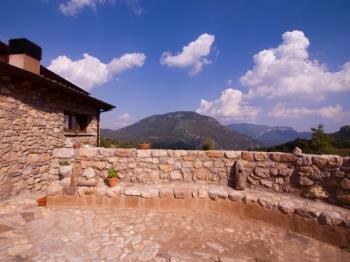 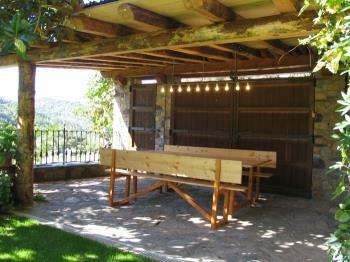 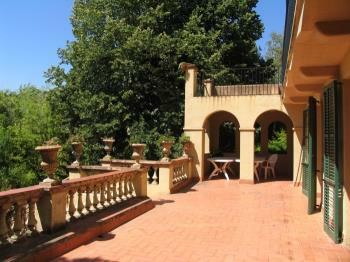 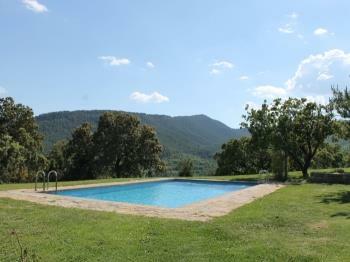 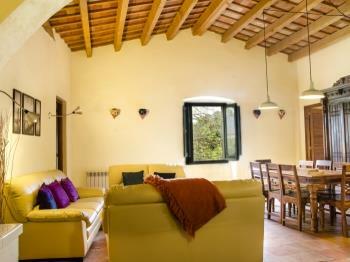 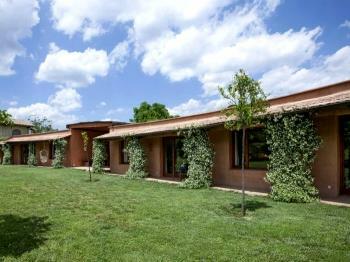 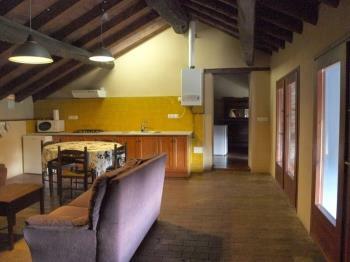 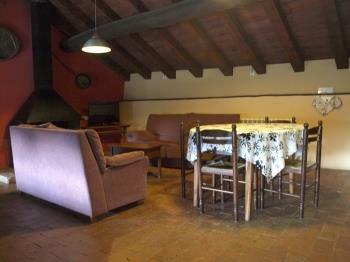 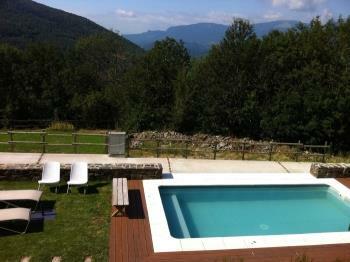 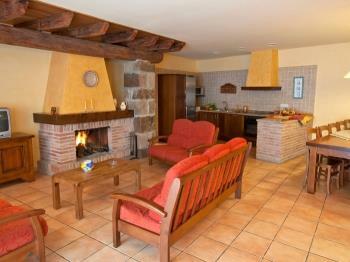 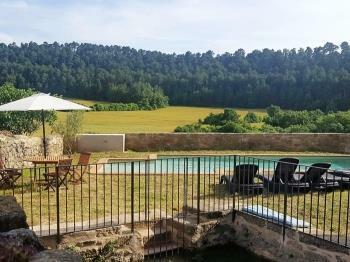 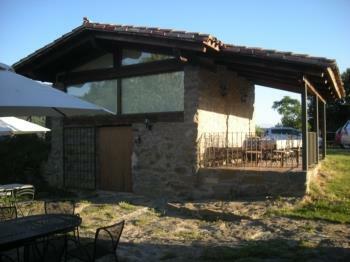 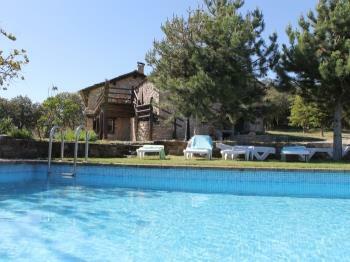 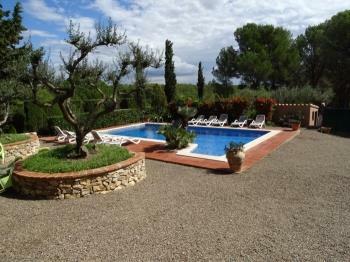 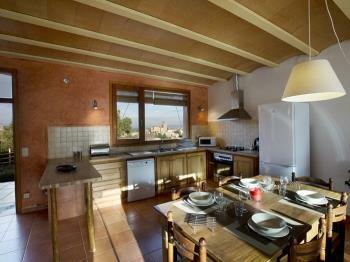 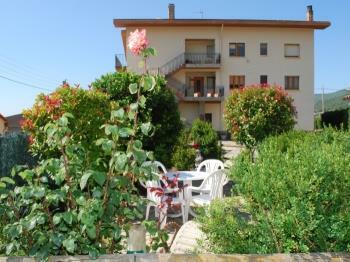 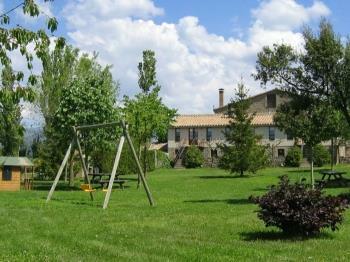 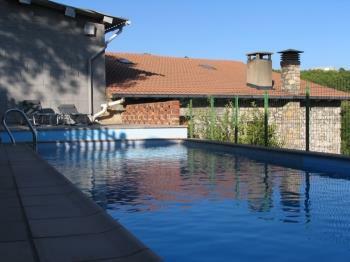 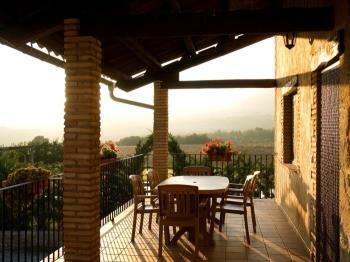 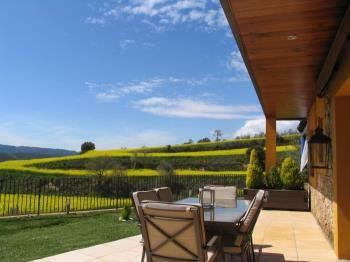 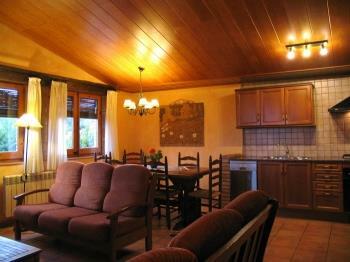 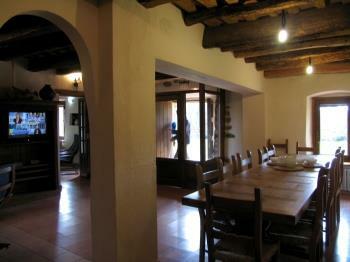 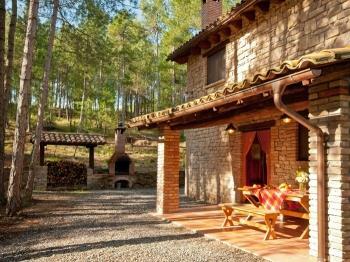 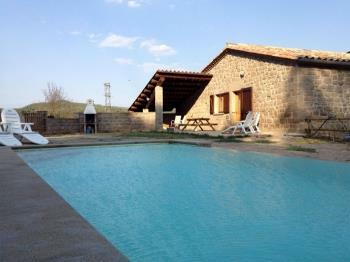 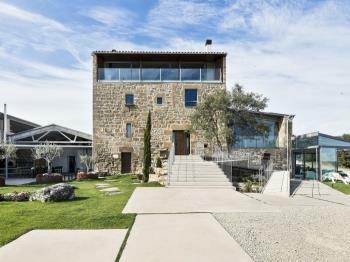 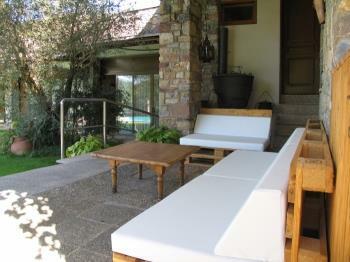 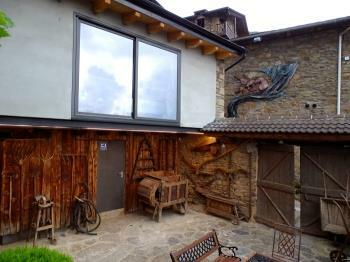 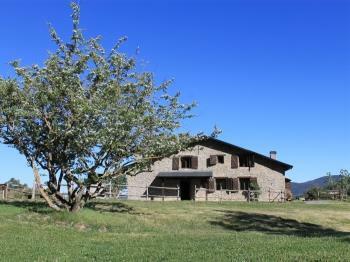 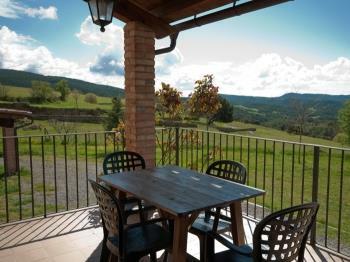 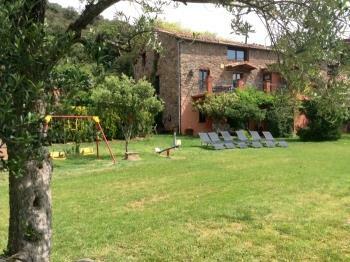 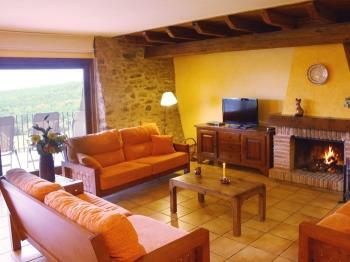 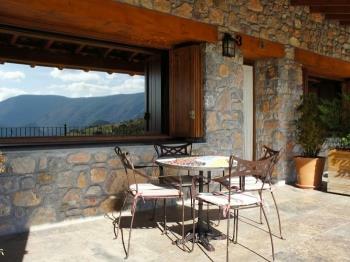 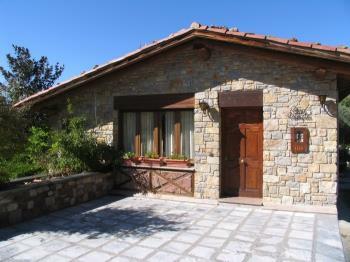 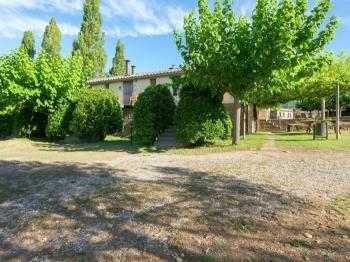 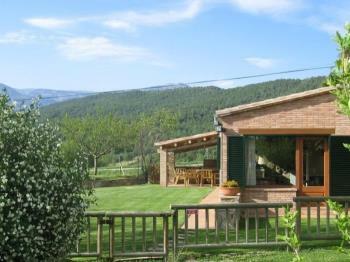 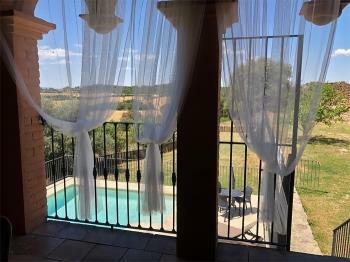 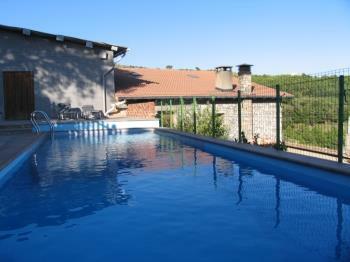 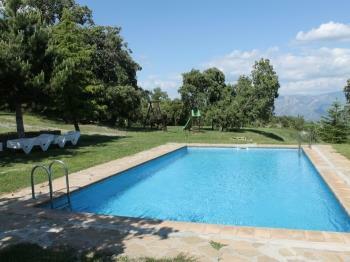 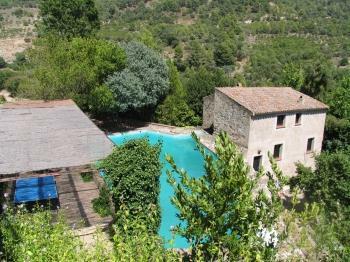 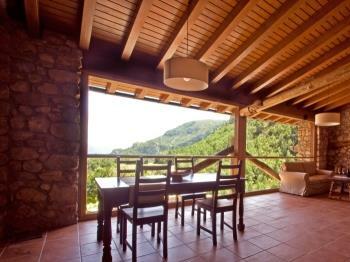 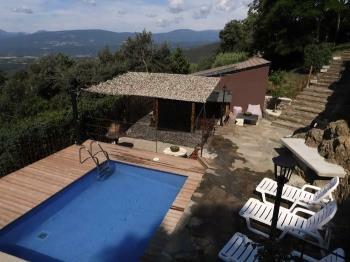 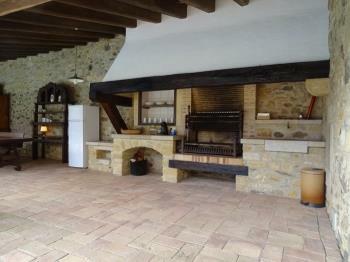 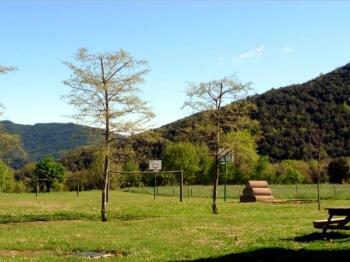 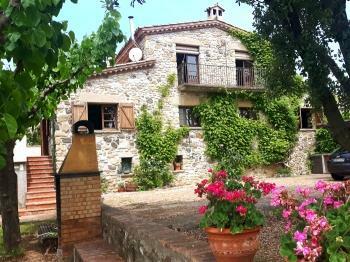 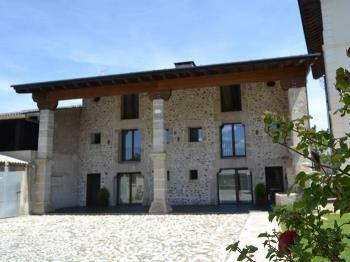 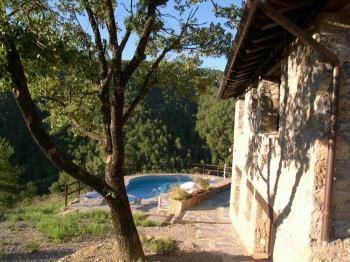 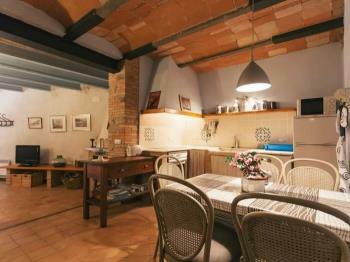 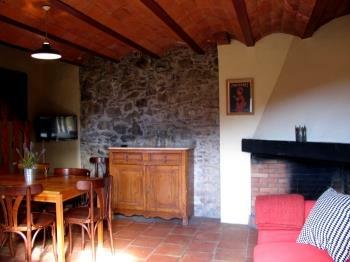 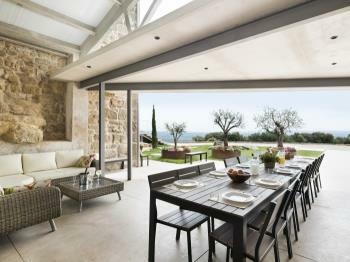 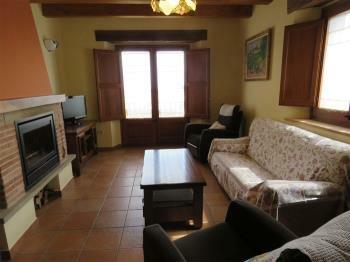 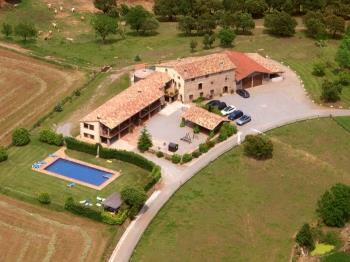 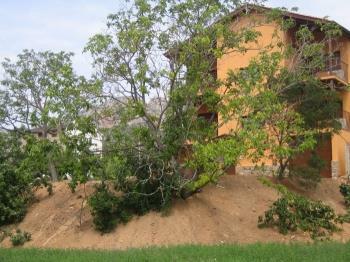 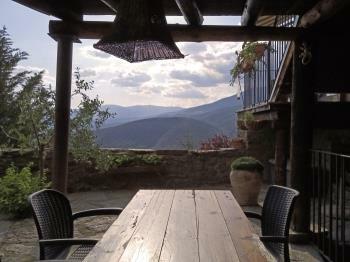 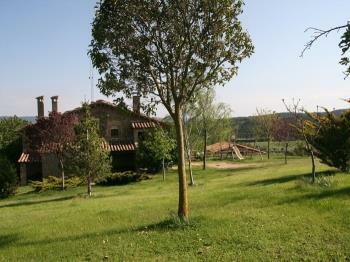 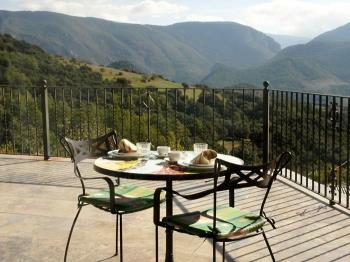 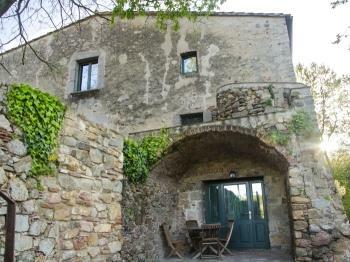 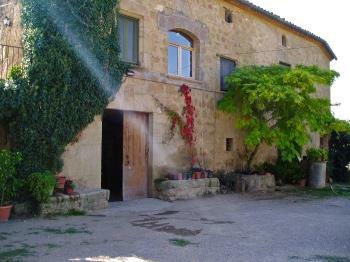 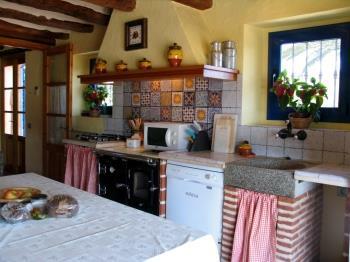 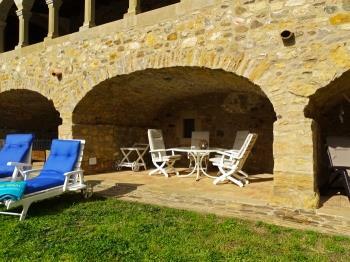 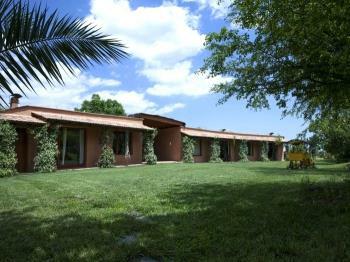 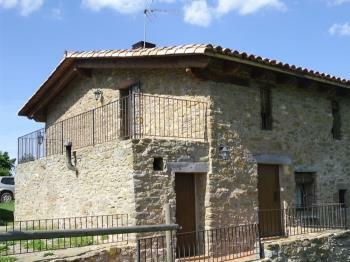 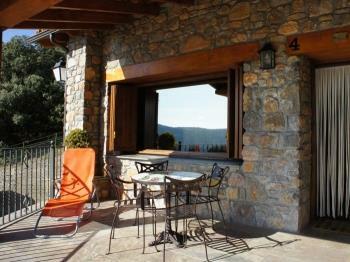 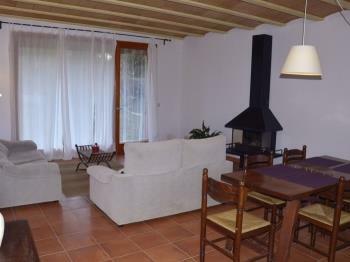 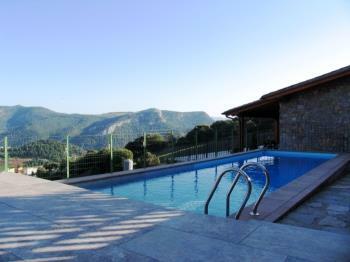 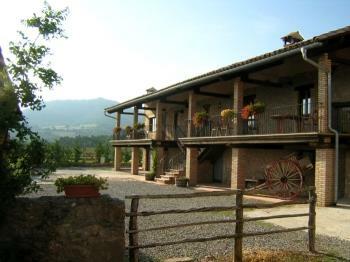 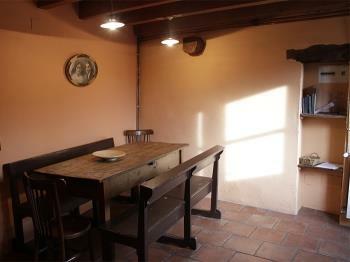 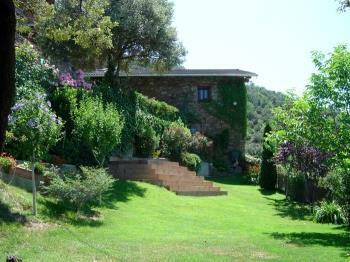 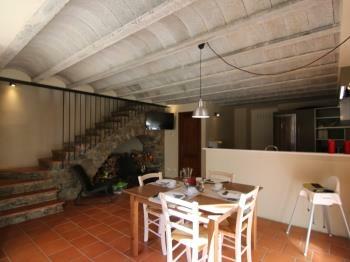 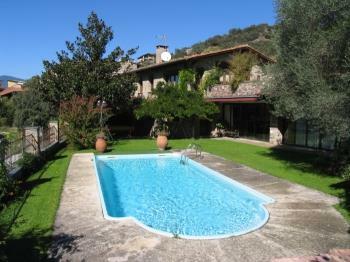 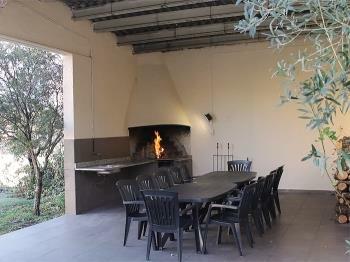 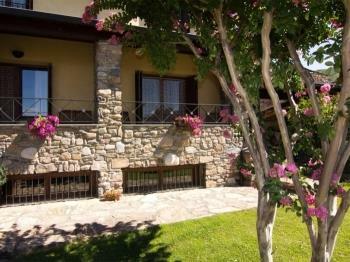 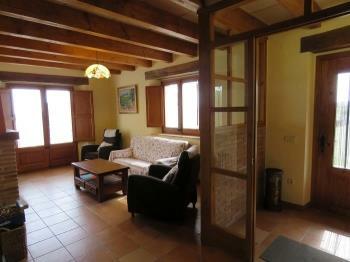 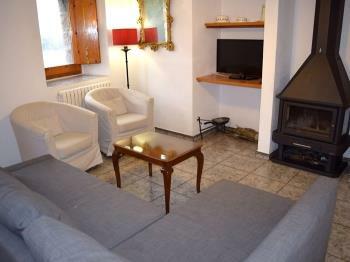 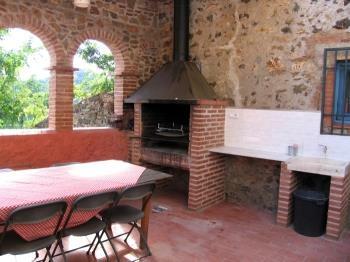 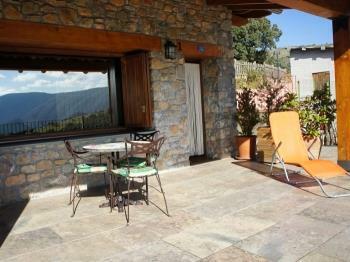 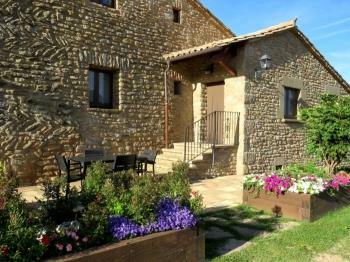 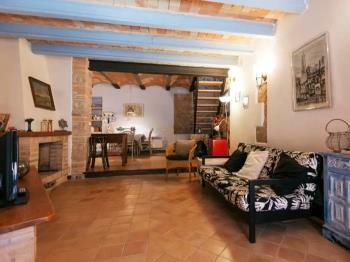 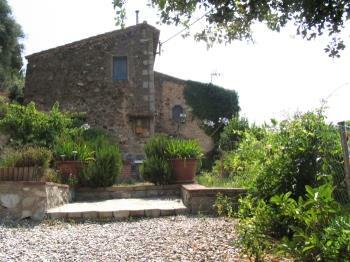 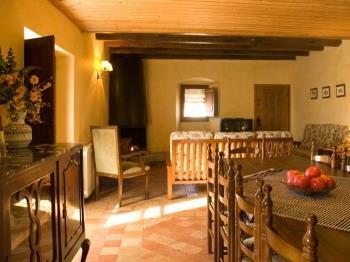 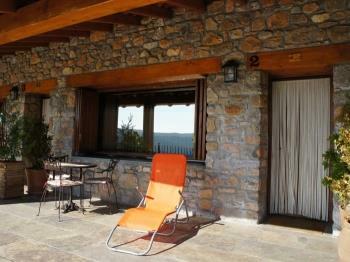 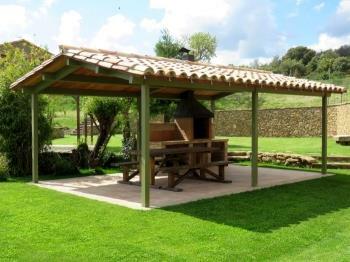 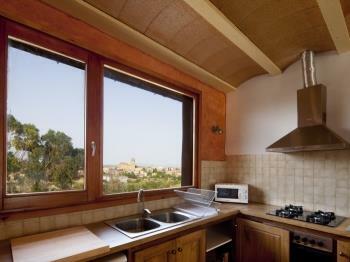 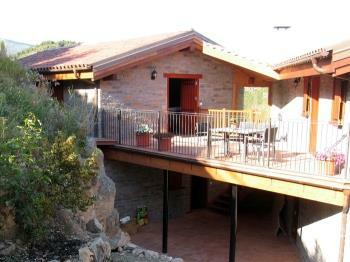 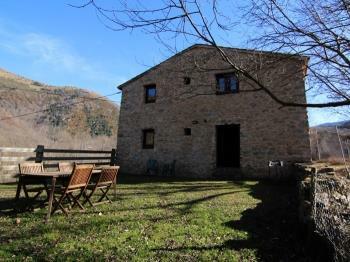 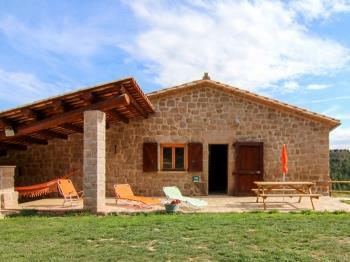 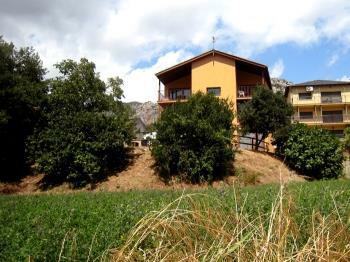 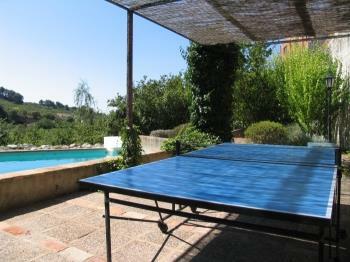 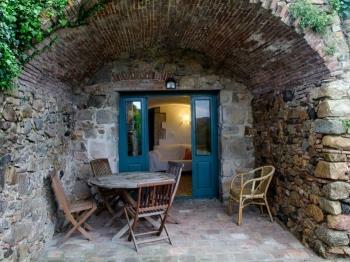 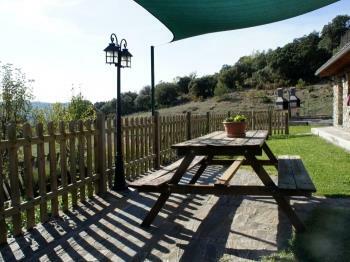 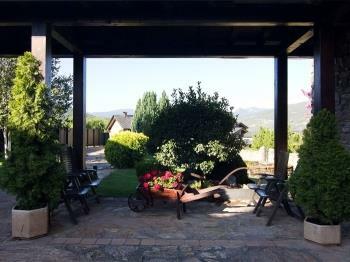 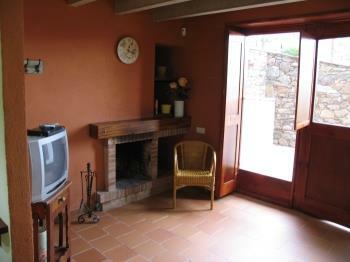 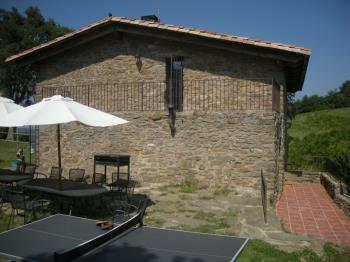 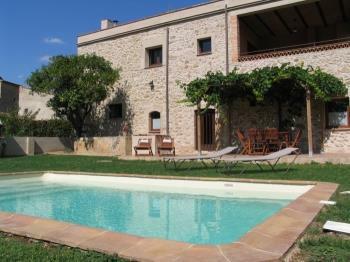 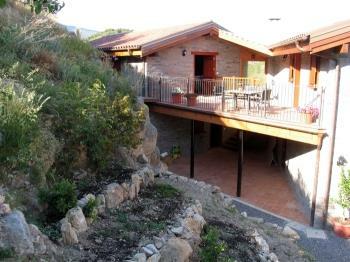 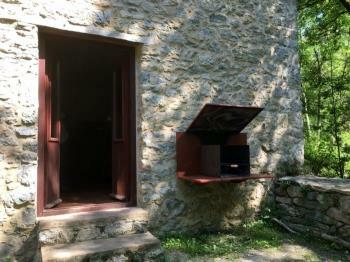 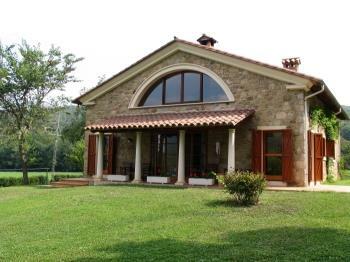 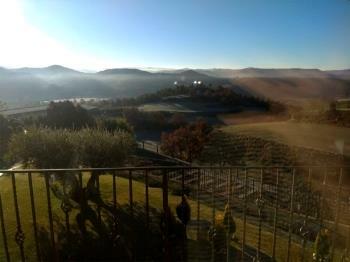 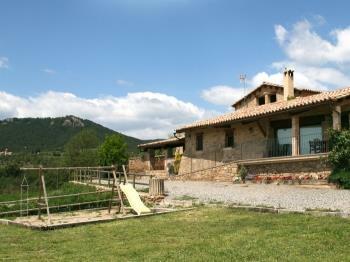 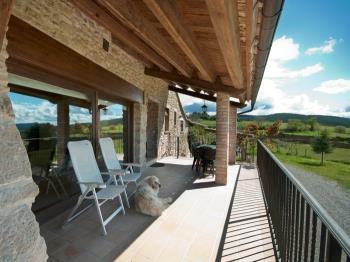 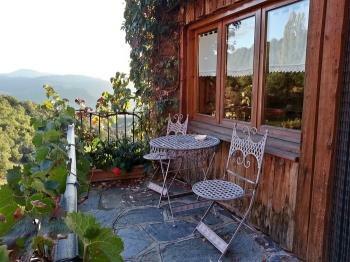 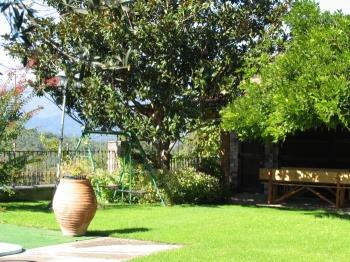 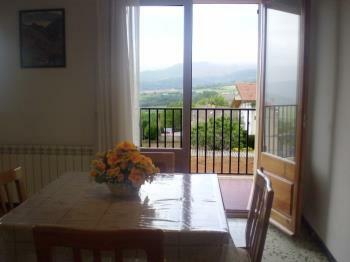 Large house with barbecue and stunning views over the valley Toscà. 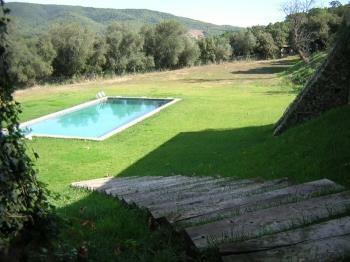 River pools able for swimming a few meters from the house.